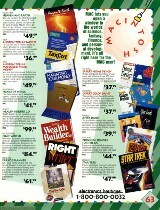 Christmas of 1992 was the start of my loser phase that lasted until 1996 more or less. 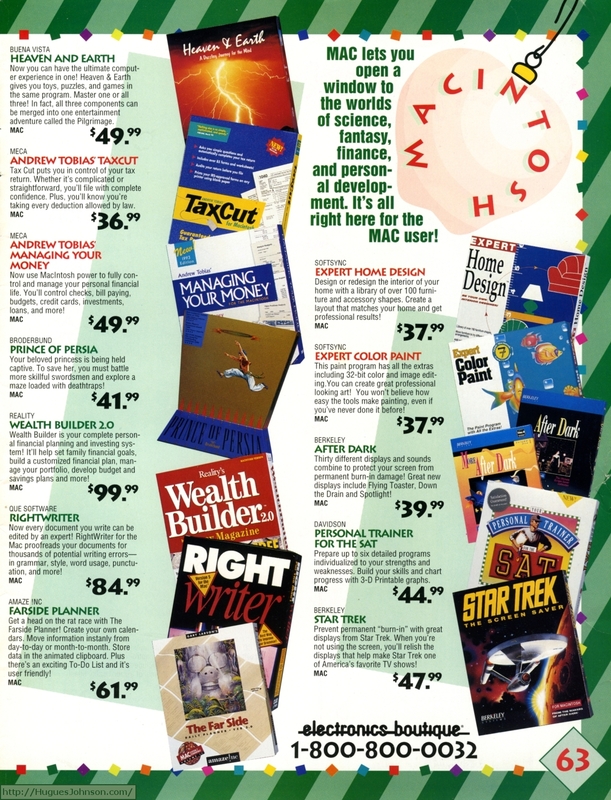 It doesn't feel like it was 20 years ago. In some ways it seems much more recent and in even more ways it feels more distant. I suppose this is normal, everyone probably experiences the same. 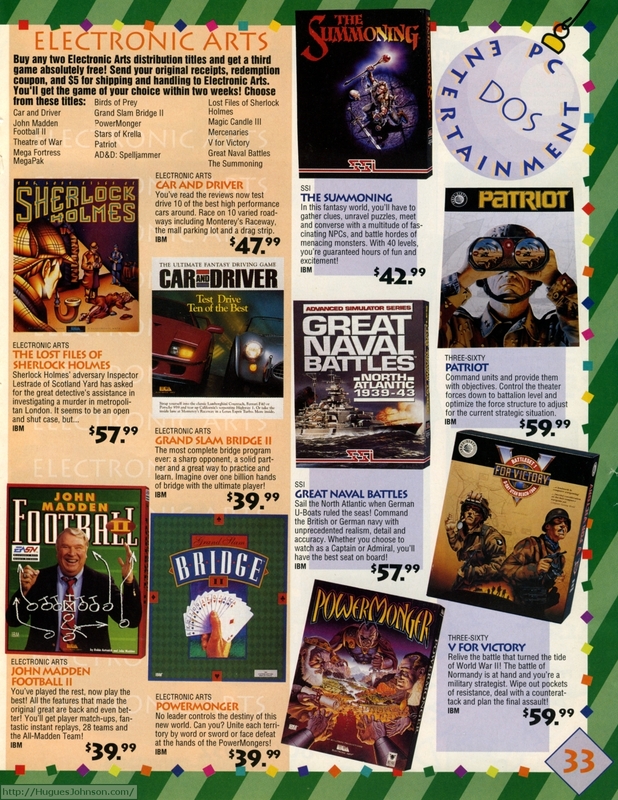 1992 was a great year for gaming. 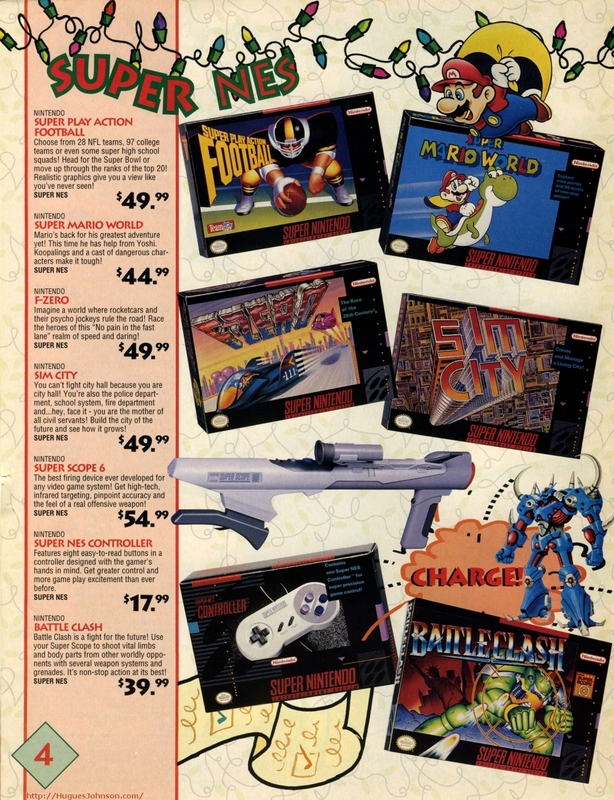 The Super Nintendo just turned one in America and was quickly catching-up to the Genesis. 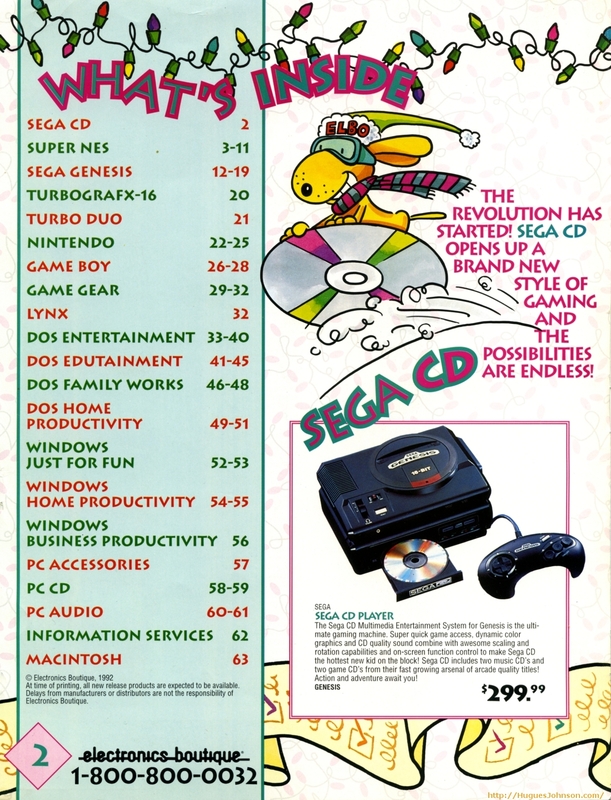 Sega responded by releasing a shiny new CD system. 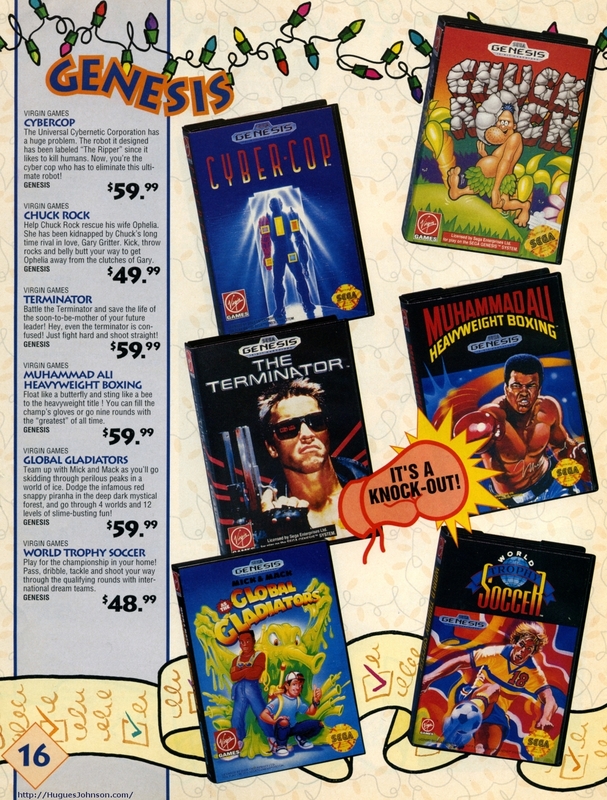 The TurboGrafx-16 and NES may have been fading but they had a few quality titles left in them. On the handheld front the Game Boy and Game Gear were hitting their stride. For PC gamers this year was something of a calm before the storm. 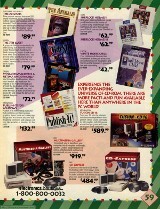 CD-ROM gaming was about to breakout and developers were pressing the limits of floppy disks. I'd call it the "twilight of the floppy era" but after my wife forced me to watch those horrible Twilight films the word now makes me cringe. 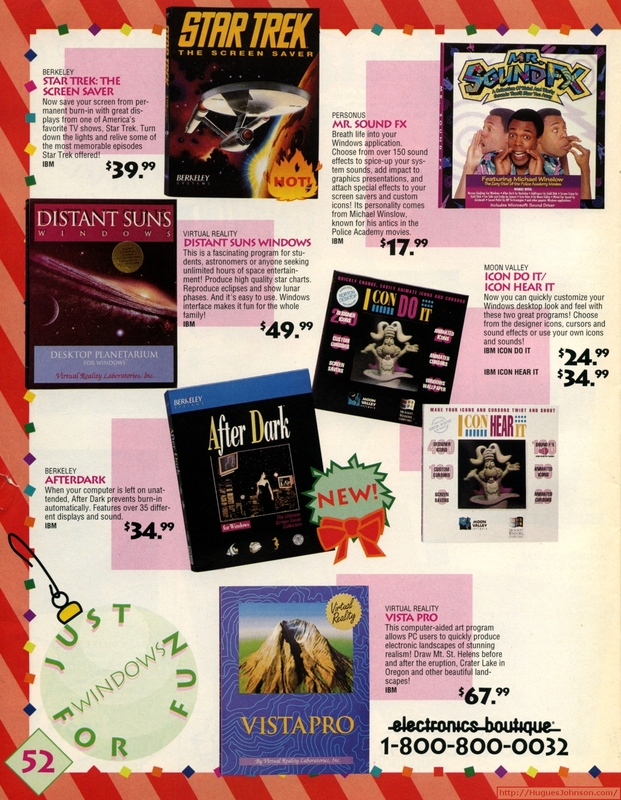 Luckily in 1992 we were not yet burdened with the horrors of the Twilight books & films. 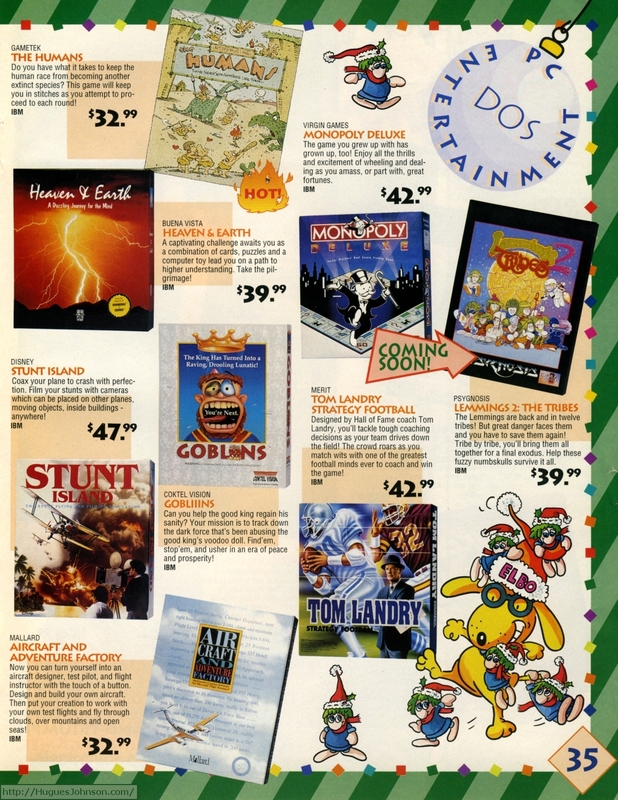 Instead we had one of the finest holiday seasons in gaming, I'm glad I was a part of it. 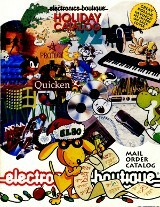 The back cover features some of the hottest items of the season. 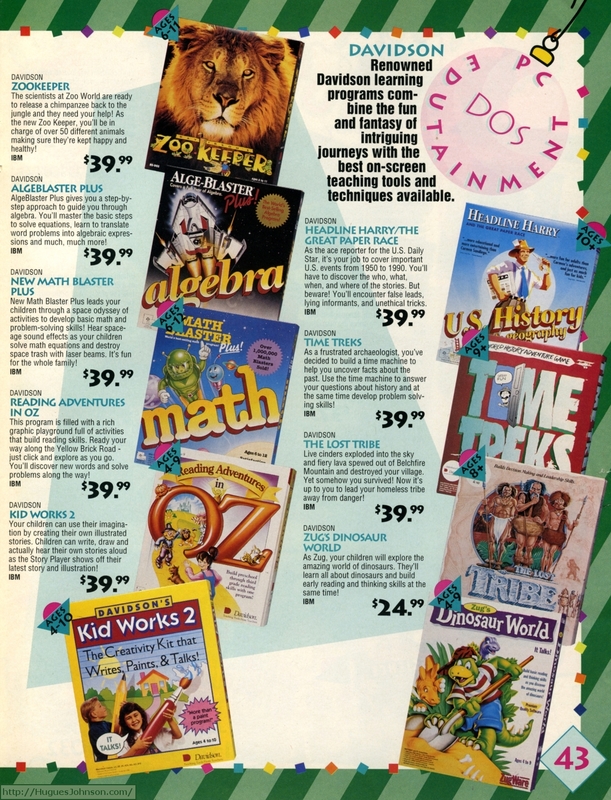 OK maybe not Zookeeper and Timeriders in American History. We'll get a look at all of these and more. 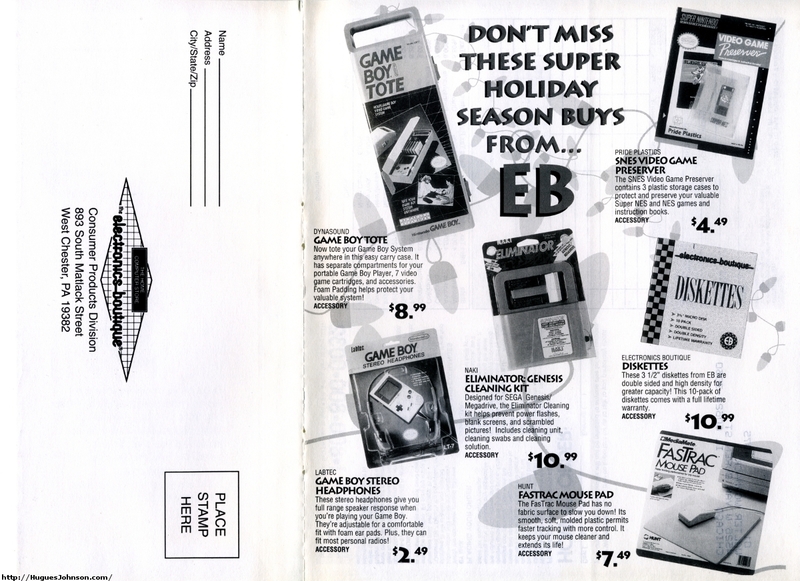 The contents are a reminder that this was a time when Electronics Boutique was half game store, half software store. 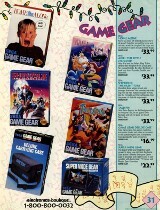 In several years they'd adopt the EBGames moniker to focus exclusively on gaming. 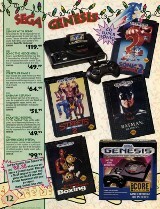 Shortly thereafter they merged with GameStop. 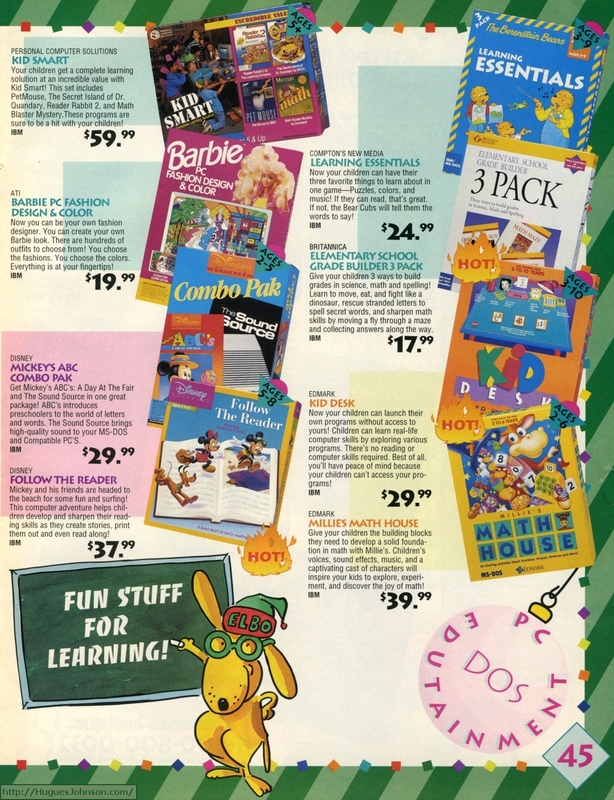 This product selection led to an odd mix of customers - gamers, parents looking for educational games, boring fathers looking for accounting software, and everything in-between. 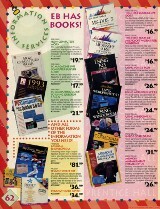 As a lowly clerk you had to be able to feign expertise in all of these. 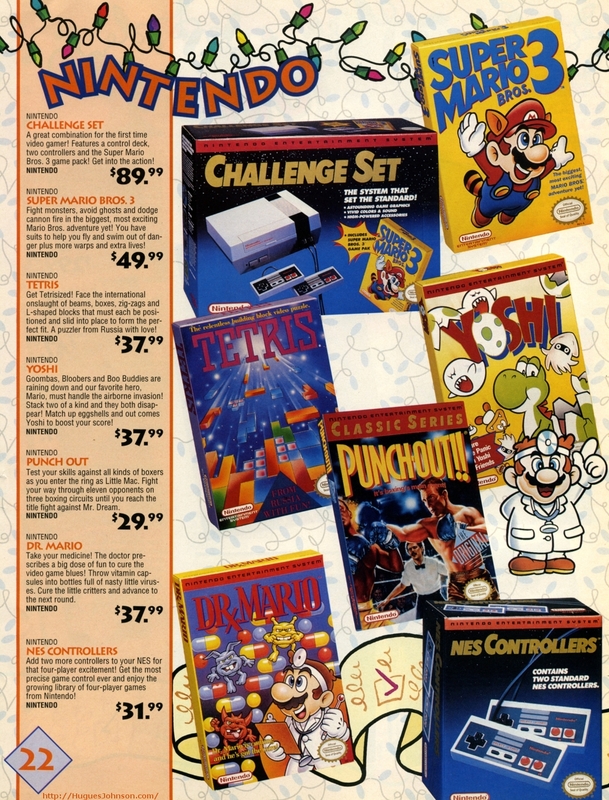 I find people linking to various catalog scans I've posted from articles or forum topics about game prices. The argument is typically that game prices in the past were comically high. 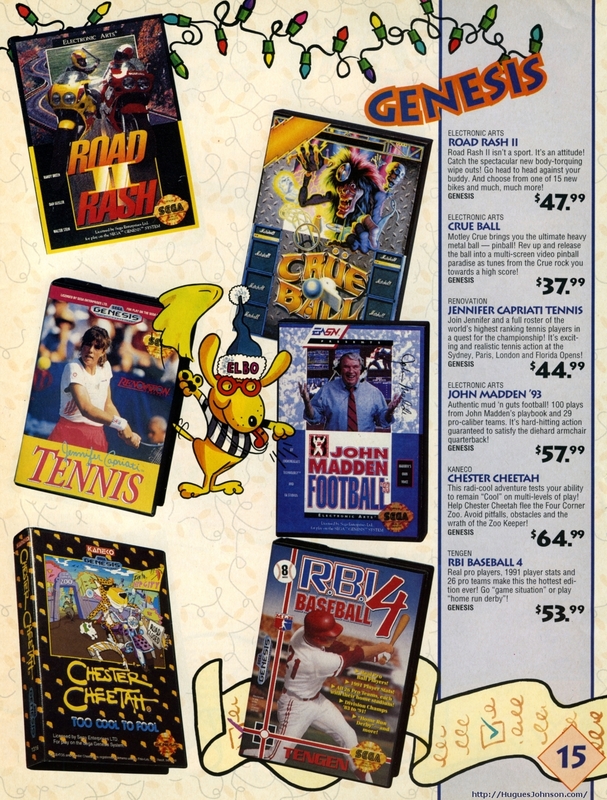 I won't argue that $54.99 for NCAA Basketball isn't a complete rip-off. 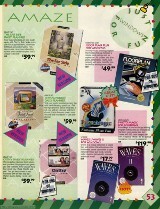 However, I will argue that hardware prices were comperably lower. At this point the Super Nintendo was only a year old in America but was available for $99.99. As of this writing, it takes nearly five years for systems to hit this price point. 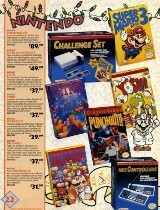 Even after adjusting for inflation this is a massive bargain. 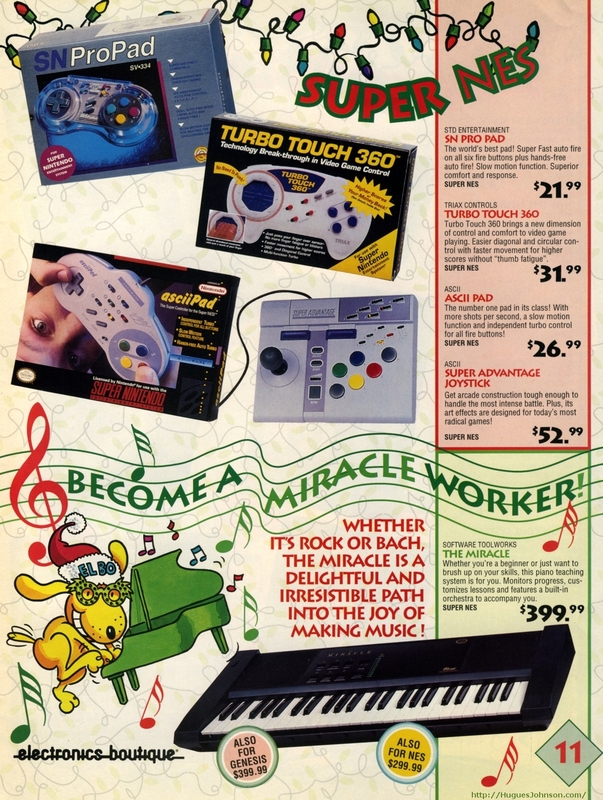 I still haven't bothered hooking-up the Super Scope I found for $6 a couple of winters ago. I probably should try it sometime. 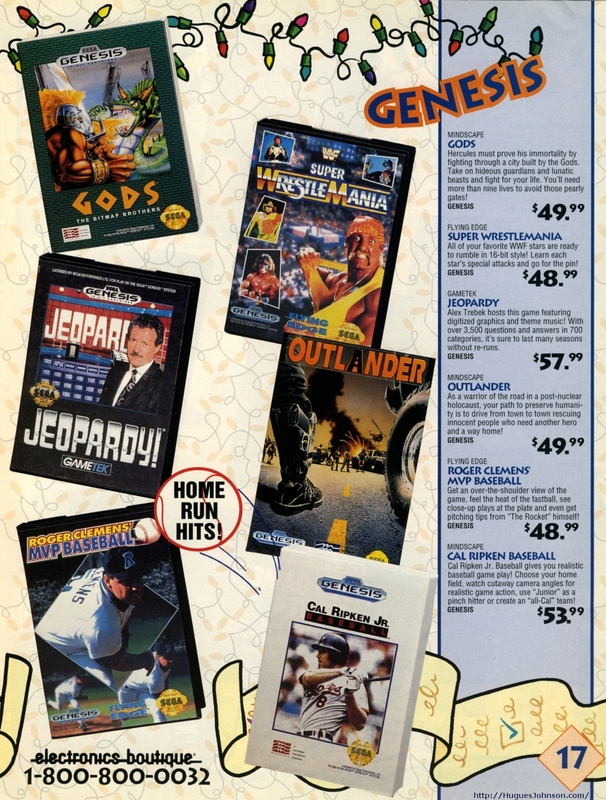 Do you remember a time when the "annual sports update" was a new idea? 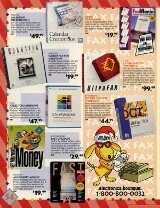 In the early 90s the tradition was just beginning. The Street Fighter II joystick sure looks incredible but the stick is extremely loose. It feels nothing like an arcade stick and makes the game it's designed for almost unplayable. 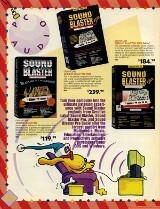 The Super Nintendo would get some good joysticks later but this one was a rip-off. 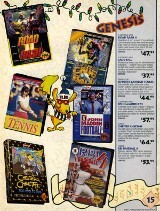 At Electronics Boutique, and probably every other video game store, the games were sorted alphabetically on the shelf. That system worked great until the Super Nintendo was released since 91.8% of the games started with "Super". 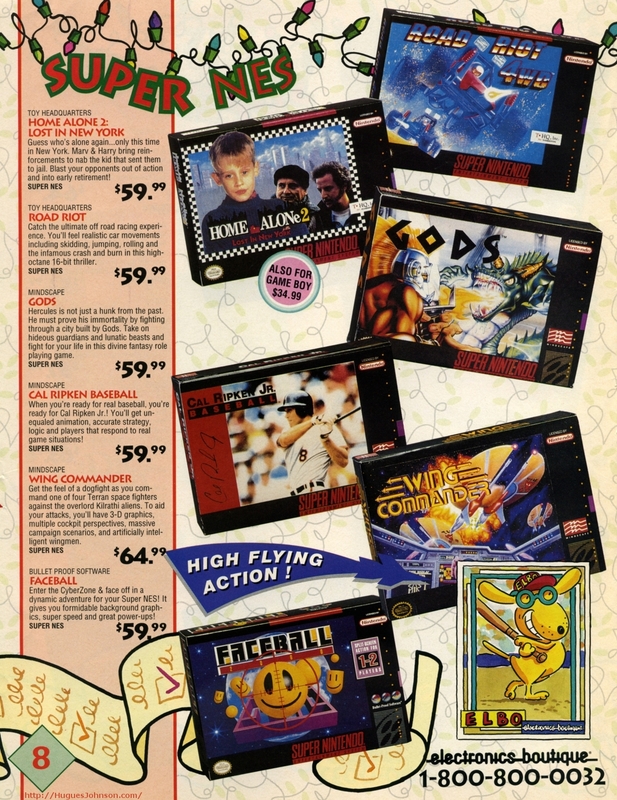 Faceball was something of an overlooked game for the Super Nintendo. 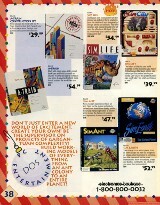 The box art didn't help it move many copies. 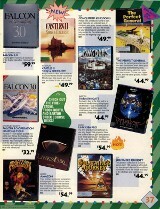 wing Commander had some great box art though, it looks like a movie poster. 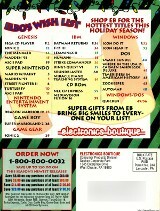 On behalf of Electronics Boutique I'd like to apologize for the "Also for Game Boy" claim on Final Fantasy II. 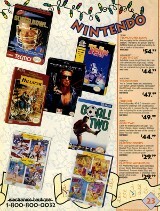 I can only assume it's referring to Final Fantasy Legend II. That sure would have been an interesting Game Boy conversion. 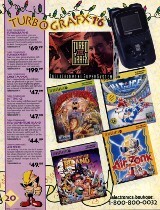 I suppose it was possible but I'm glad they waited until the Game Boy Advance to do it. 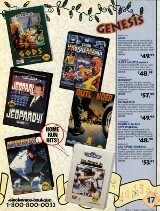 I always enjoy playing these old versions of Jeopardy! to see how much I can remember about the Soviet Union and late 80s pop-culture. 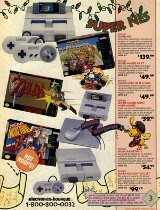 The Super Nintendo controller is possibly the best one ever designed, definitely the best as of Christmas 1992. 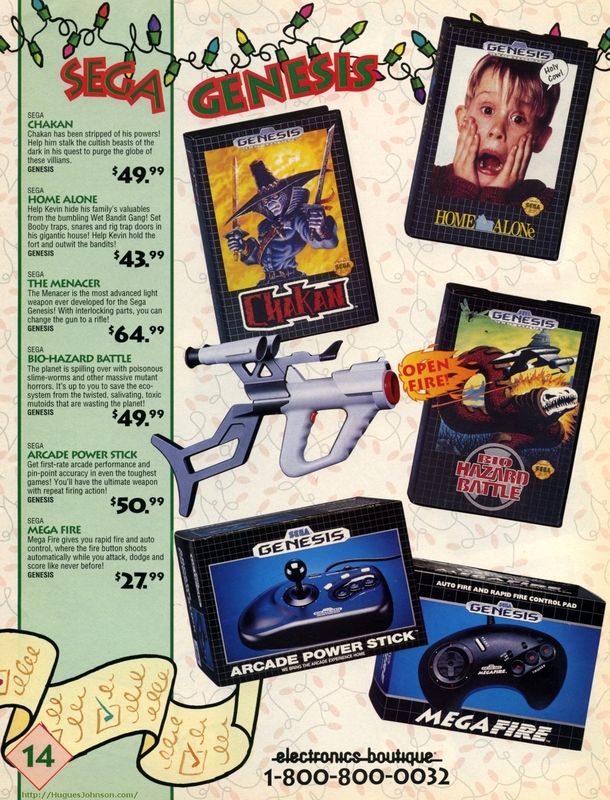 Not only was it better than all of the ones on this page, it was also cheaper. 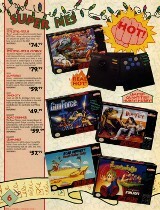 Third party controllers either have to be cheaper or better otherwise what's the point? The SN ProPad was OK, stiff but usable. 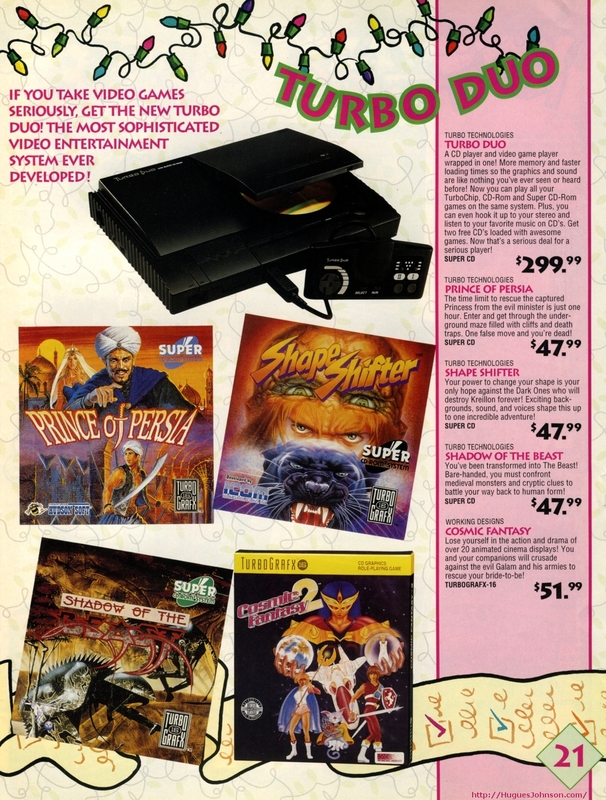 The Turbo Touch 360 was awful. 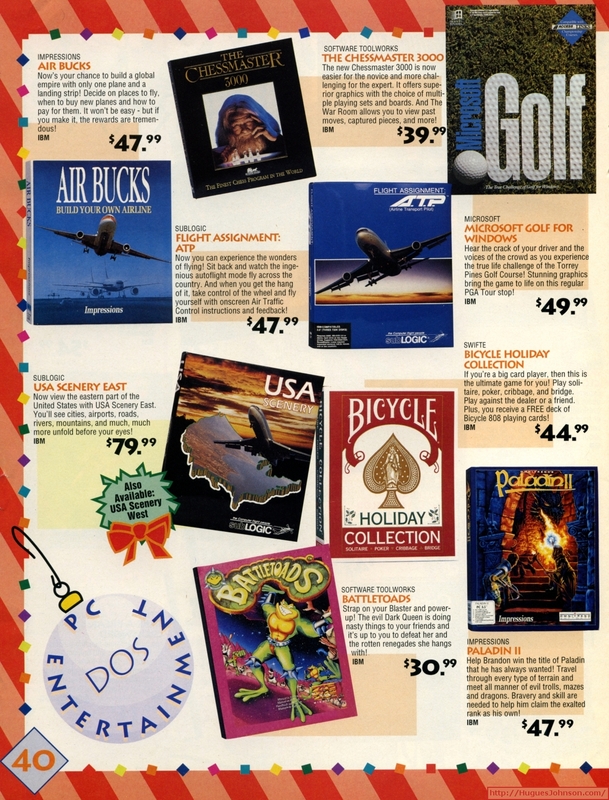 The Ascii Pad was alright, the best of the bunch on this page. 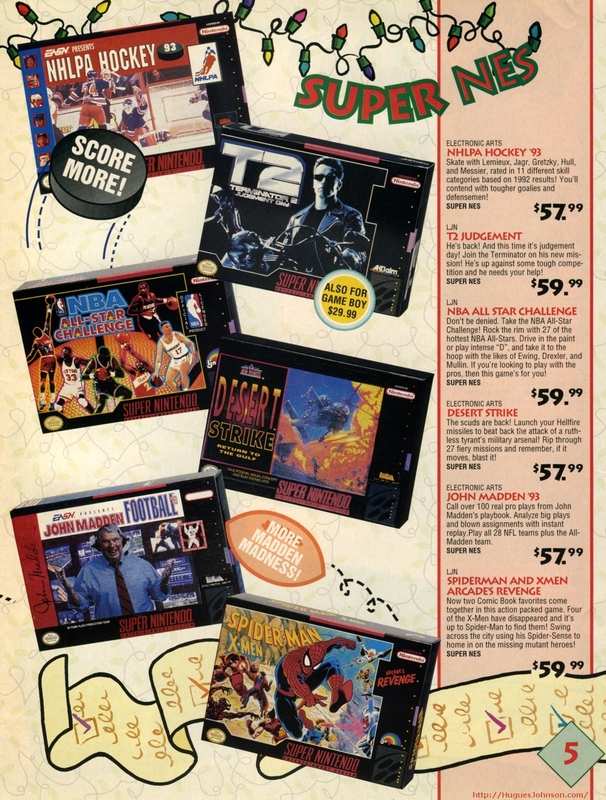 The Super Advantage would have been fine were it not for the terrible button layout that made games like Street Fighter II and Mortal Kombat unplayable. 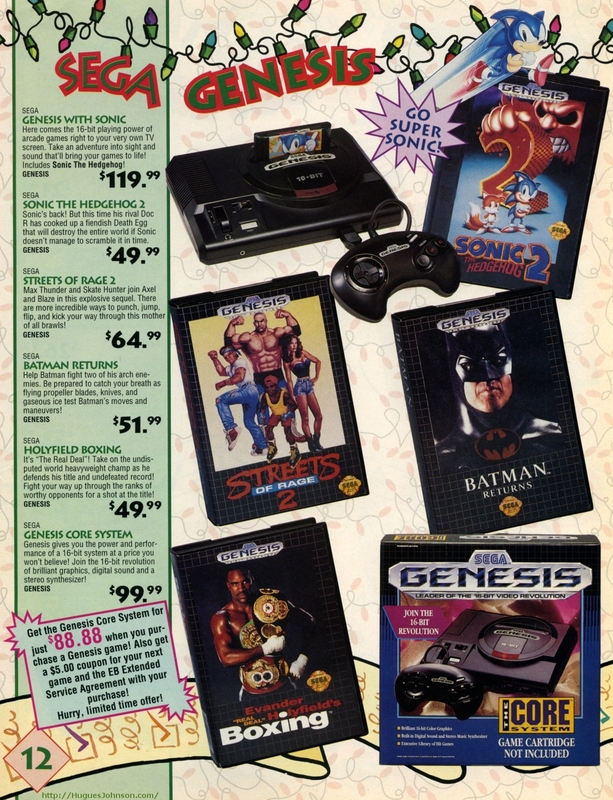 I totally forgot about that $88.88 Genesis promotion until now. This is when I learned about video game markup. I'll start with the disclaimer that I don't know if these numbers are true today but I assume they are. 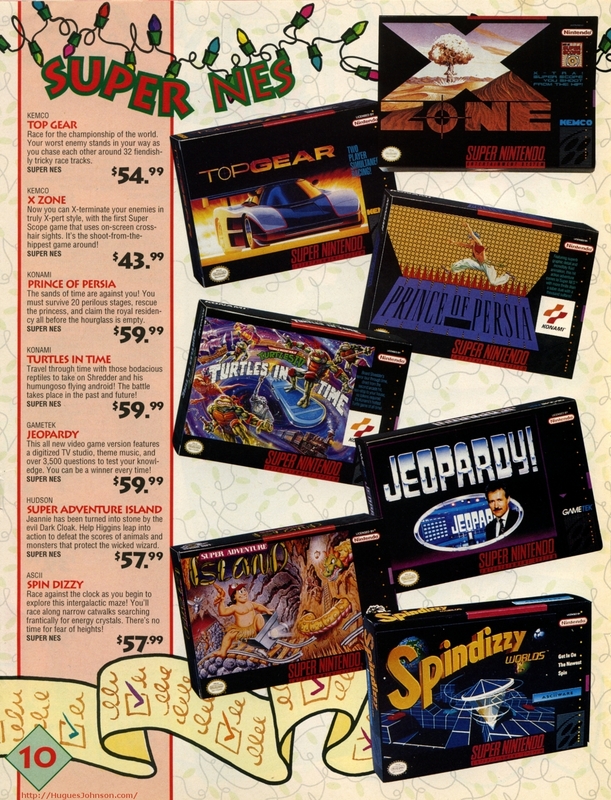 Anyway, there is zero markup on game hardare. Seriously, zero. Stores don't make a dime selling hardware. New games are initally marked up 40% so that's where they earn most of their profit. 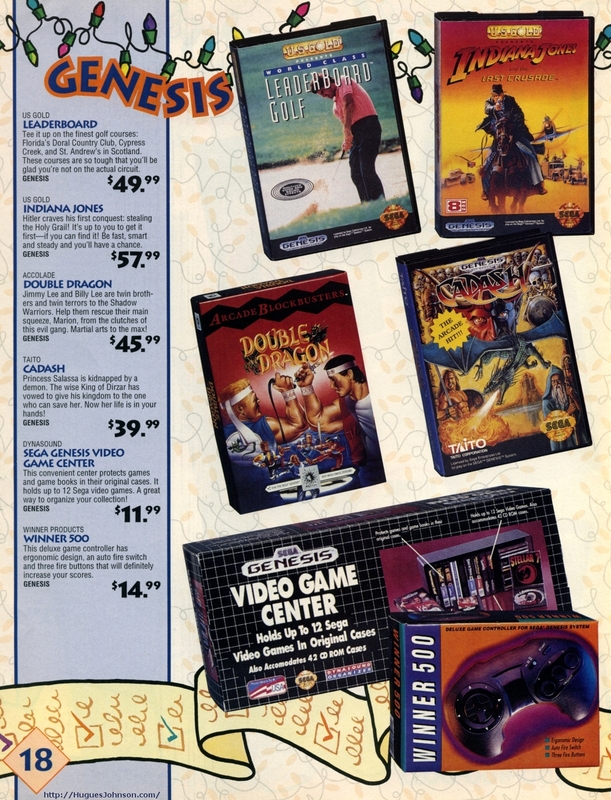 So if they take $11.11 off the Genesis Core system but sell a $49.99 game with it they have a net profit of $3.81 (assuming I can do math). Sure that's low but it's also $3.81 more than they'd make if someone only bought the system. 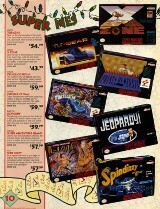 PS - this is why Gamestop is totally screwed. I'm pretty sure that wasn't the final box art for Young Indiana Jones. 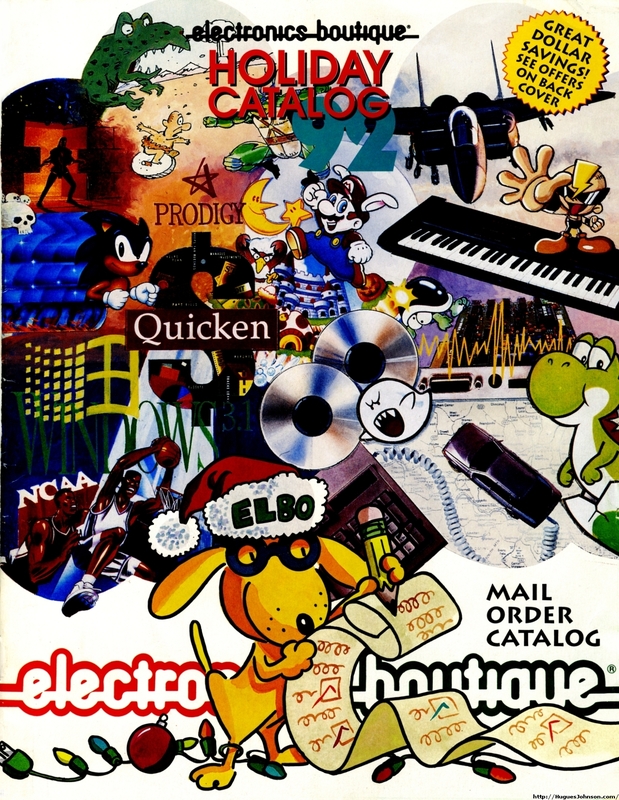 That's one of the cool things about these old catalogs, seeing preliminary art and outright vaporware. 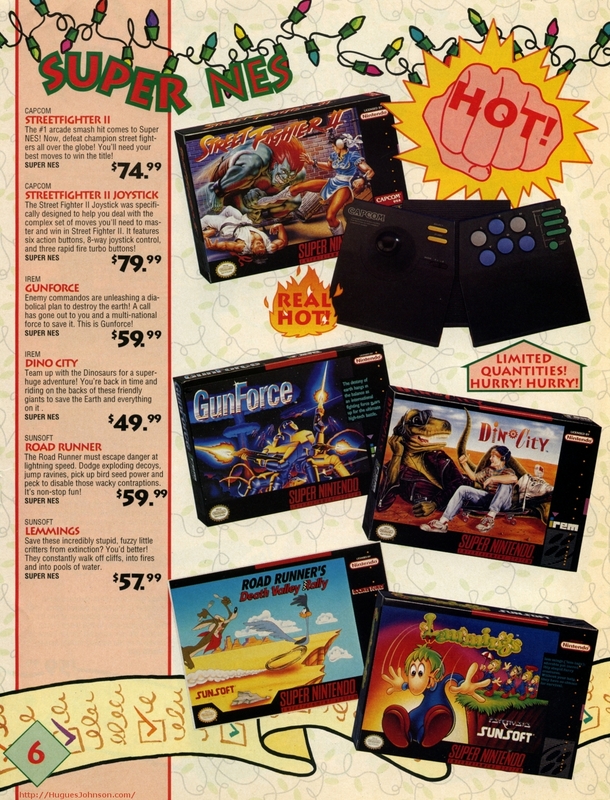 I never got to try the Arcade Power Stick but it looks like a solid controller. A six-button version would have been amazing in the following year. 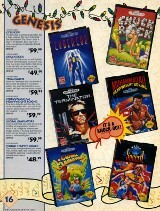 The only tennis players I know are ones that have video games named after them. 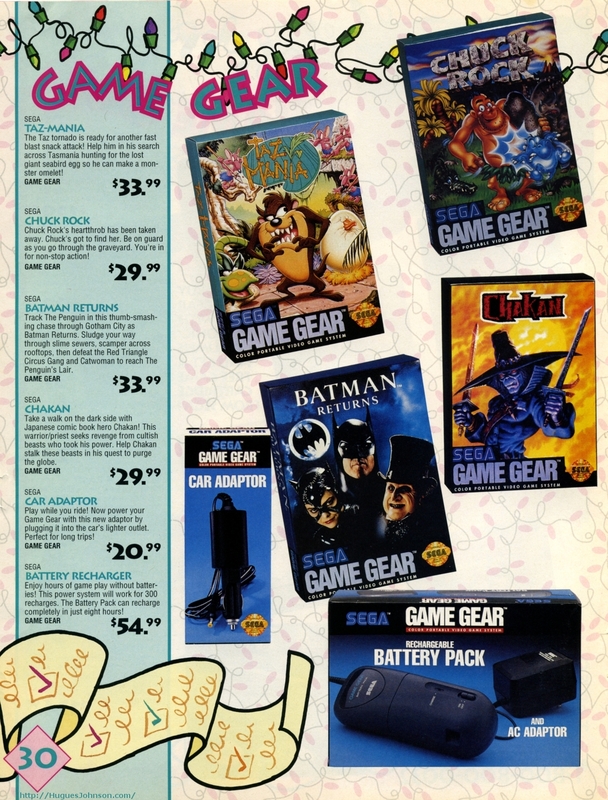 Not much to choose from on this page, these would all be in the bargain bins in a couple of months. The comment I made about Tennis players, same goes for baseball players. It's not that I don't like sports, I watch football religiously. It's just that I don't like incredibly boring sports. Baseball is the worst. There's nothing as dull as watching dudes stand around not throwing a ball. What's that? A storage unit that can fit those oversized EA boxes? 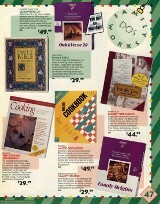 Why didn't I buy a dozen of these when we started clearing them out in February 1993? 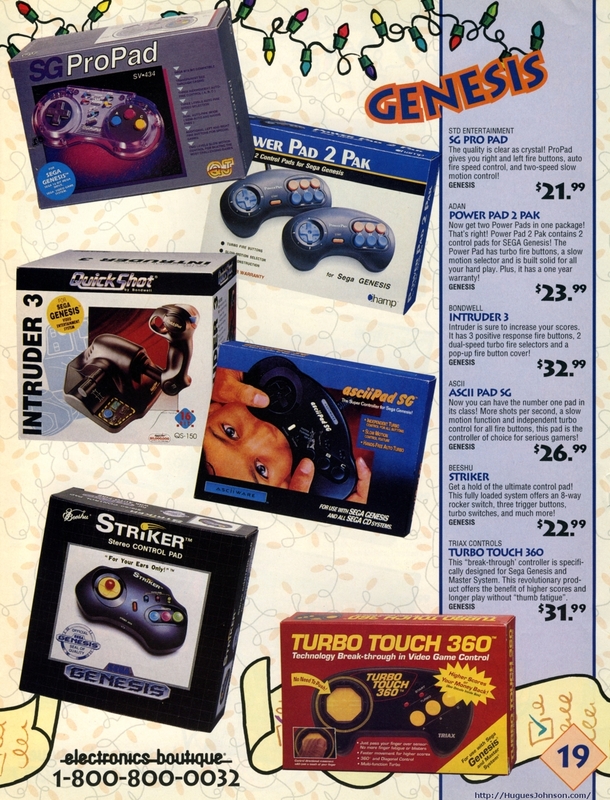 Roughly the same commentary as for the Super Nintendo controllers... these were all inferior to Sega's default controller but cost more. The Intruder 3 is a PC flight stick with inputs modified to fit the Genesis, what a total mess. I challenge anyone to successfully play a game with that beast. 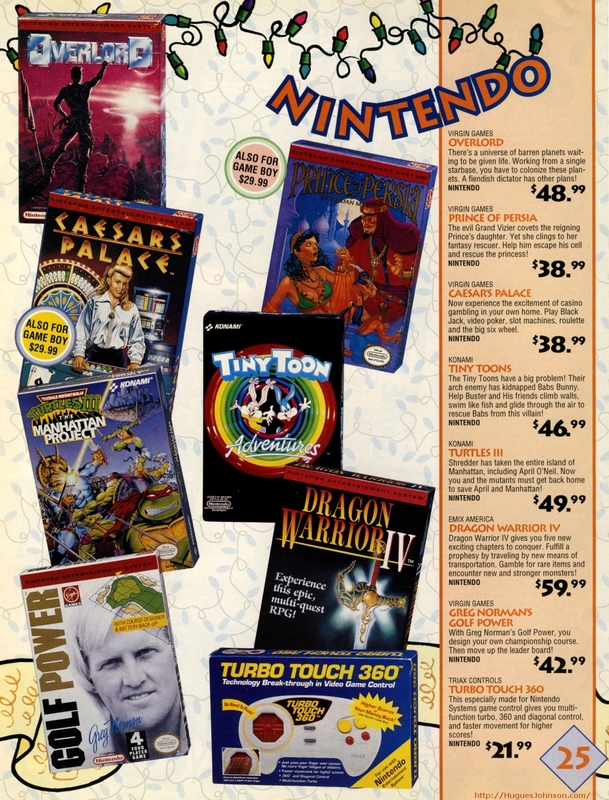 Some systems have their best releases right before they're discontinued. 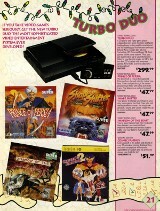 The TurboGrafx-16 was not one of them. As much as I like the system I have to groan at these late releases. 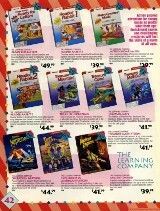 New Adventure Island is the only one of these I'd be up for playing today. 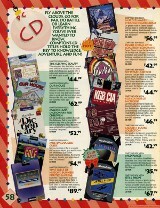 Not a bad assortment of CD games though. OK, I'll get the bad one out of the way first.. Shape Shifter, it's Castlevania II with cheesy voice acting. 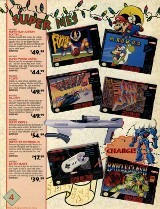 The rest are classics. Prince of Persia was the best looking 16-bit version and had a great soundtrack. More or less the same can be said about Shadow of the Beast. 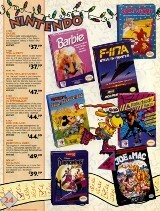 Cosmic Fantasy 2 required a ton of grinding but it also had an amazing soundtrack and some fun cutscenes. 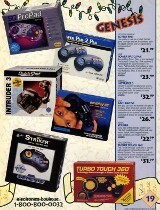 I can't recall anyone else ever selling controllers in a two-pack. OK, maybe some super cheap model or something. 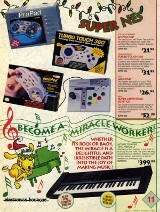 It seems like something we would have seen with the Wii. My memory isn't perfect but I don't think many of these NES games were at our store. Tecmo Super Bowl was there for sure but overall the NES section was shrinking. 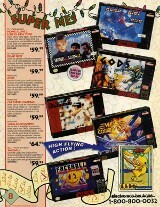 Same for these games... 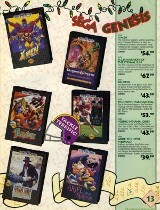 I'm positive we had Darkwing Duck but I don't recall seeing any of the others. Each location was different back then though. 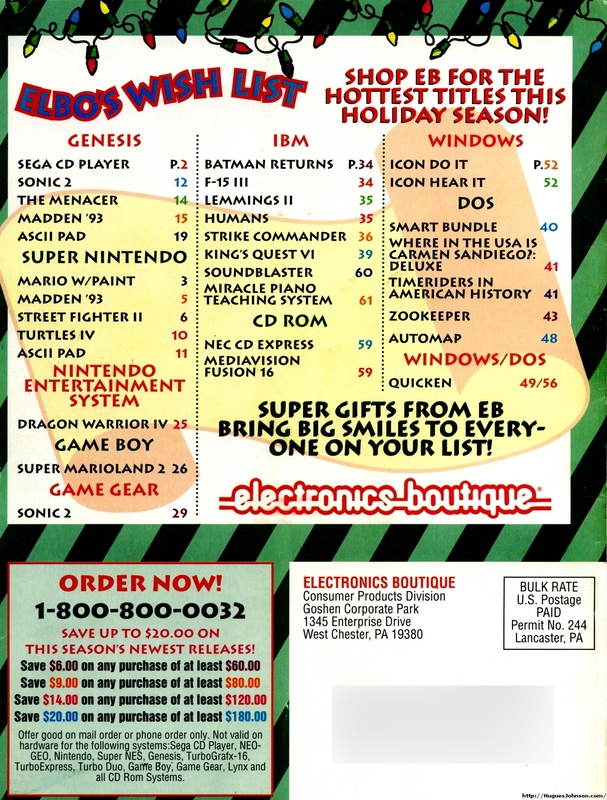 Today every GameStop has roughly the same inventory, but in the 90s each Electronics Boutique store was different based on the demographics of the location. I want to say Dragon Warrior IV still goes for $60 today. 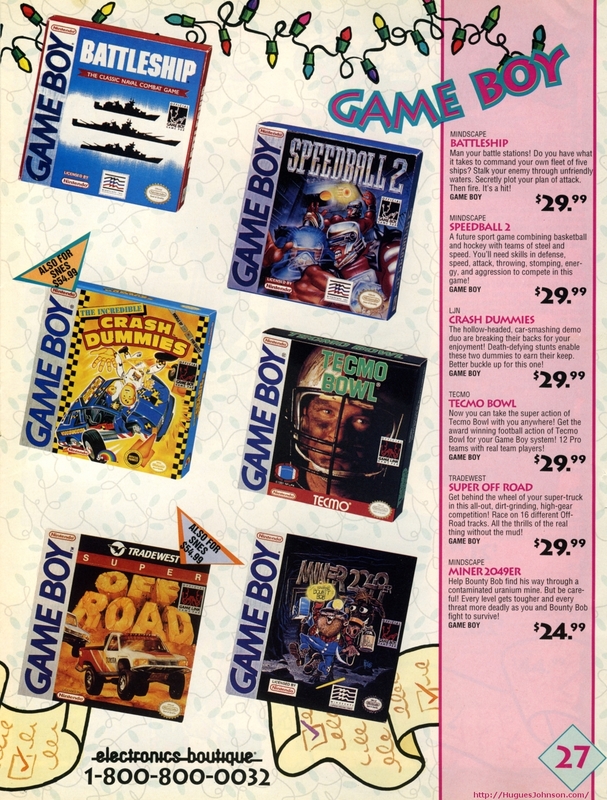 Great lineup of Game Boy titles here. 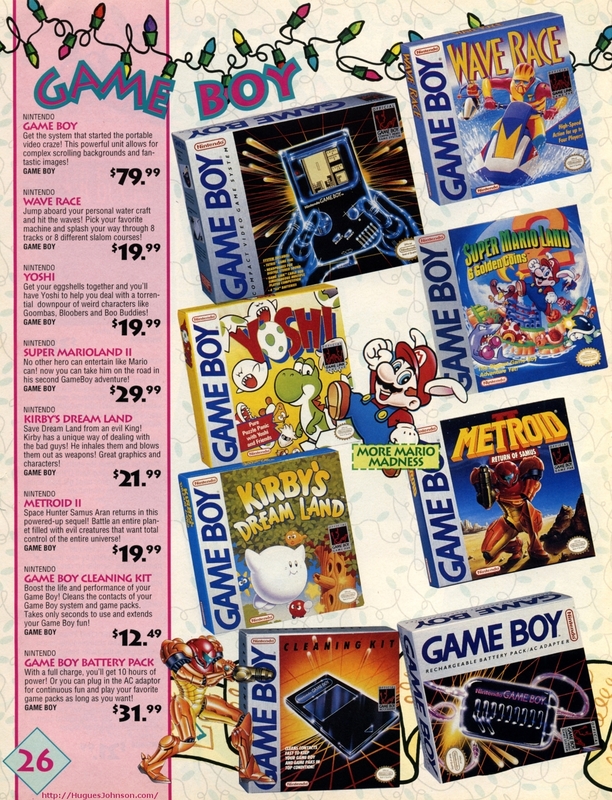 Forget all the technical mumbo-jumbo, you just have to look at the game library to understand why the Game Boy crushed the Game Gear and Lynx. 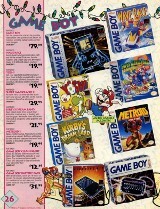 Another page of mostly good Game Boy games. 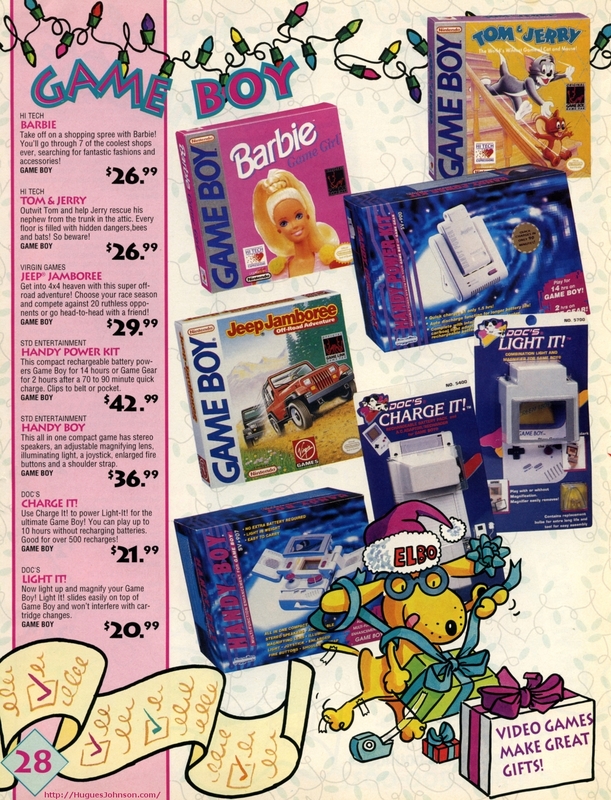 Page 28 - Barbie, Tom & Jerry, Jeep Jamboree, Handy Power Kit, Handy Boy, Charge It!, Light It! 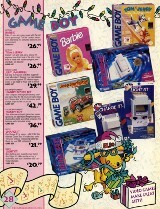 I wonder what has more tacky accessories, the iPad or the original Game Boy, it's gotta be close. 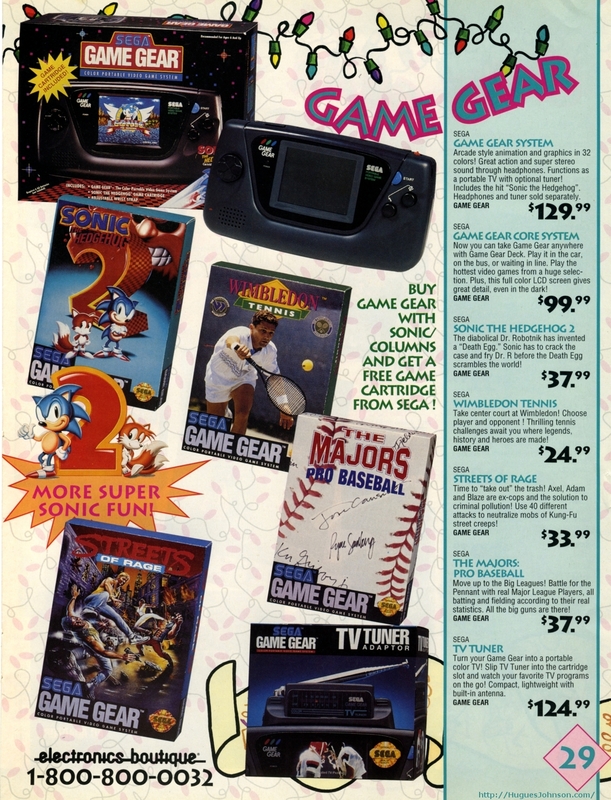 Sonic the Hedgehog was a nice pack-in for the Game Gear but it didn't help all that much. 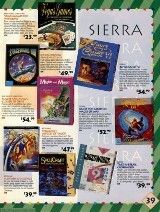 The system had some good titles but not enough to catch-up. "The Battery Pack can recharge completely in just eight hours!" I'd make a mocking comment about that statement except I think the Game Gear battery pack smokes my Vita in terms of both play and recharage time. Even the Game Gear could not escape tacky magnifying accessories. 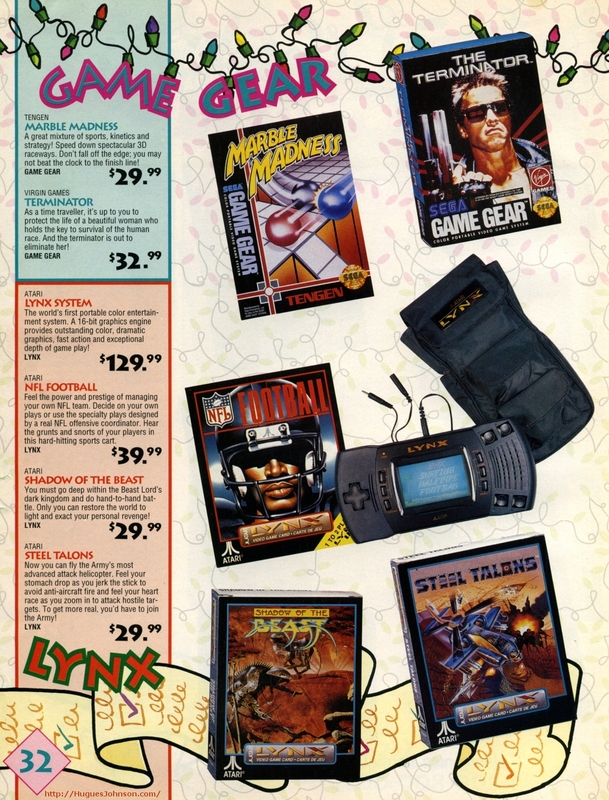 The poor Lynx doesn't even get a whole page. 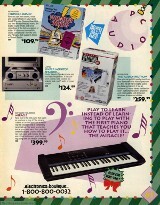 Although the system survived a few more years it was dropped by Electronics Boutique in early 1993. 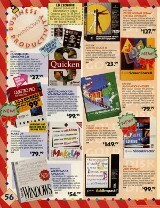 Working in a software store in the early 90s gave me a bias against PC gaming. 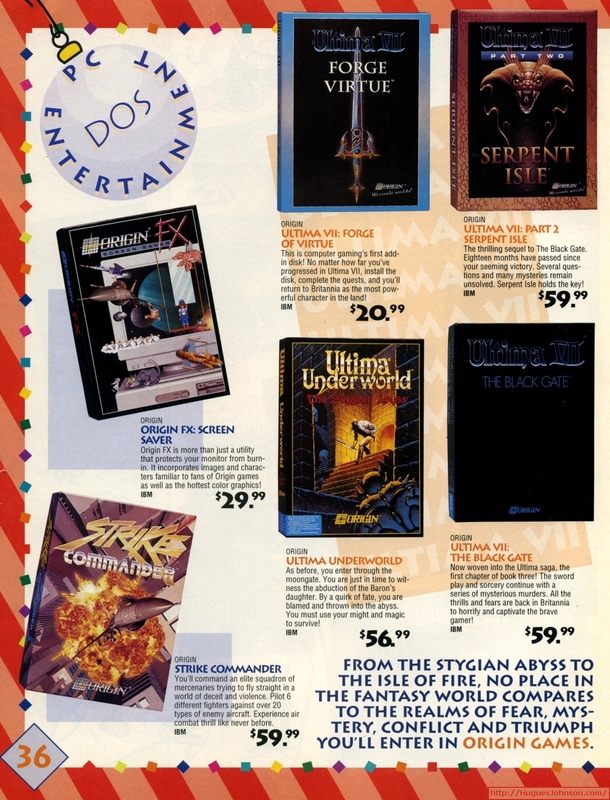 Yeah the games were generally more advanced than console titles but getting DOS games to run was a nightmare. Customers assumed that everyone working there knew the nuances of their PC configuration and would happily provide free unlimited tech support. 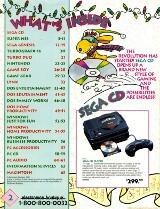 Every day we got at least one call like "Hey I bought this game at your store and I can't get it to run. 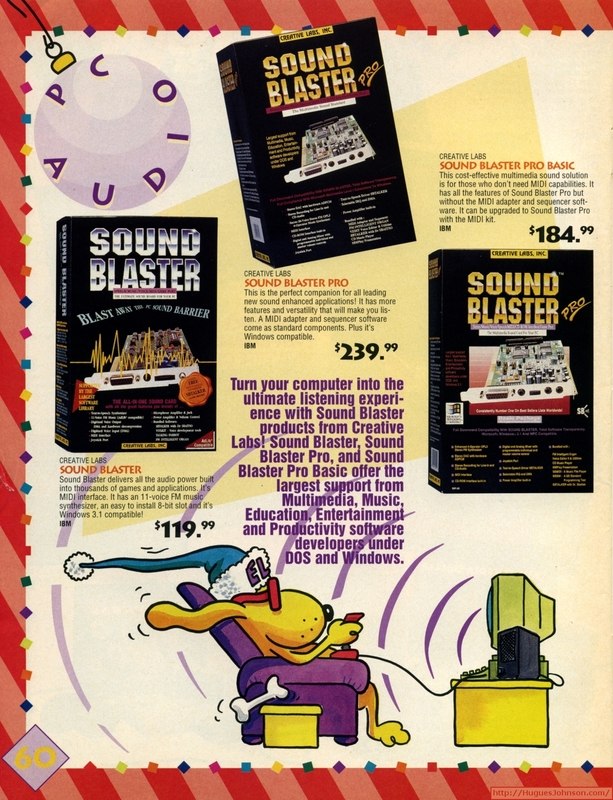 The manual says to add SET BLASTER=A220 I5 D1 H5 P330 E620 T6 in your autoexec.bat but I have a Roland sound card on DMA port 2 so I don't think that works. You guys need to fix this." 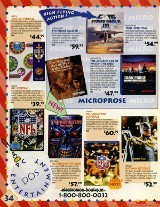 For readers born after roughly 1995 the idea of anyone other than EA publishing and NFL game will seem odd. 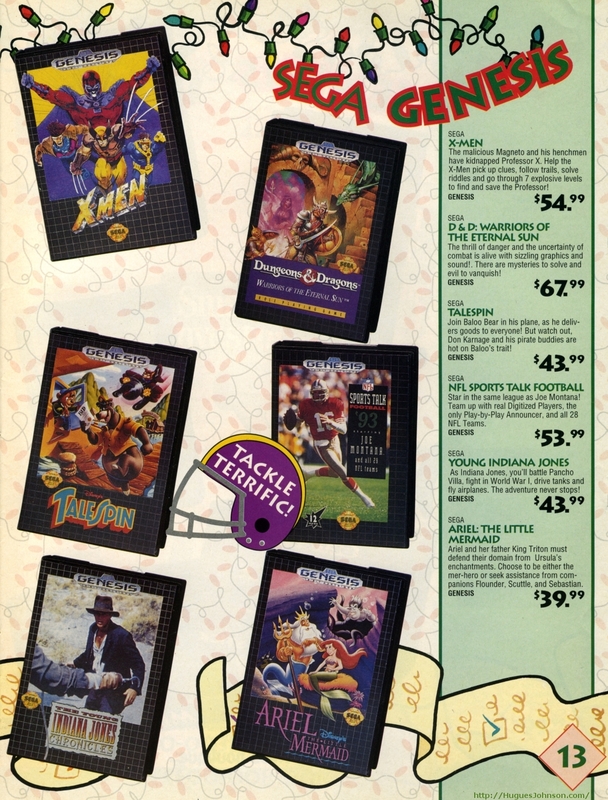 In the 80s and 90s just about any developer could get an NFL license and crank out a mediocre football game. 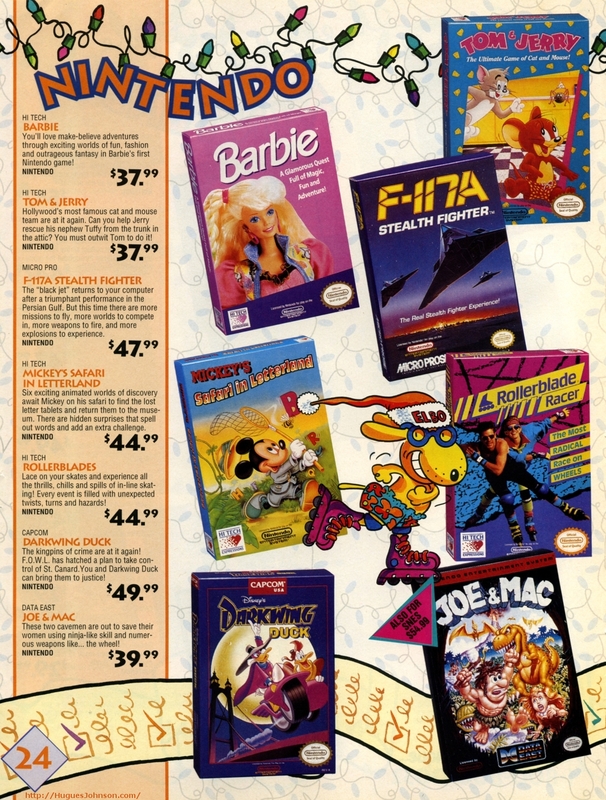 No matter how bad some of these games were, it was worth it to have some competition. 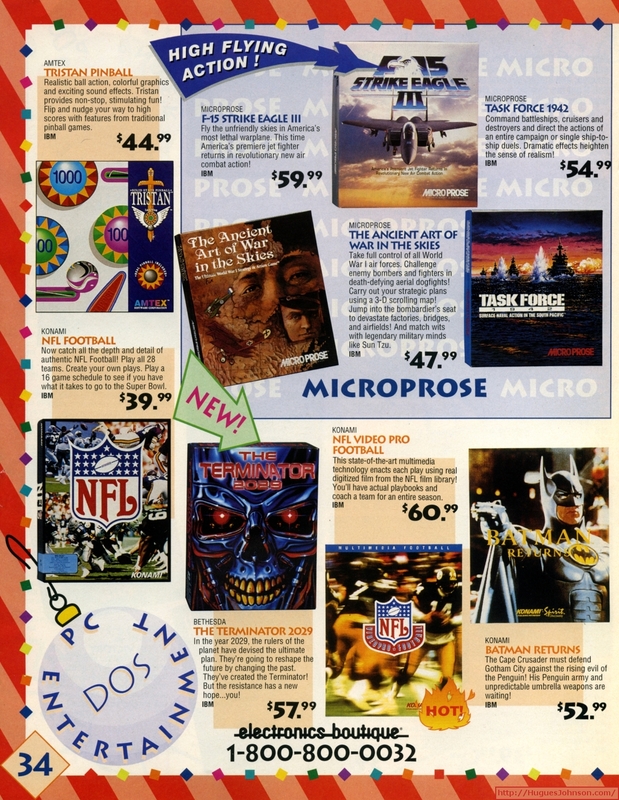 The 2K Sports NFL games more than make up for something like NFL Video Pro Football. I could be wrong but I'm pretty sure Lemmings, Gobliiins, and The Humans are all the same game. 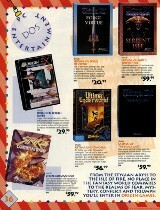 Long before Final Fantasy confused gamers with Final Fantasy X-2 there was Ultima VII part 2. 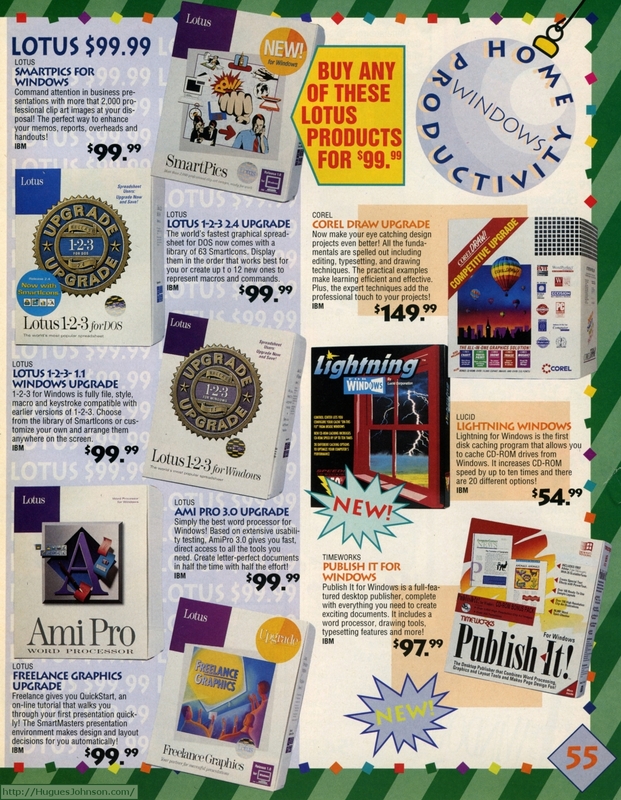 In the years I worked at Electronics Boutique I think it's possible Links 386 Pro was the highest selling computer game we had. 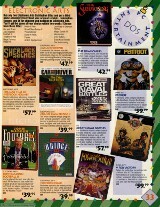 OK, Myst was probably higher but not by much. 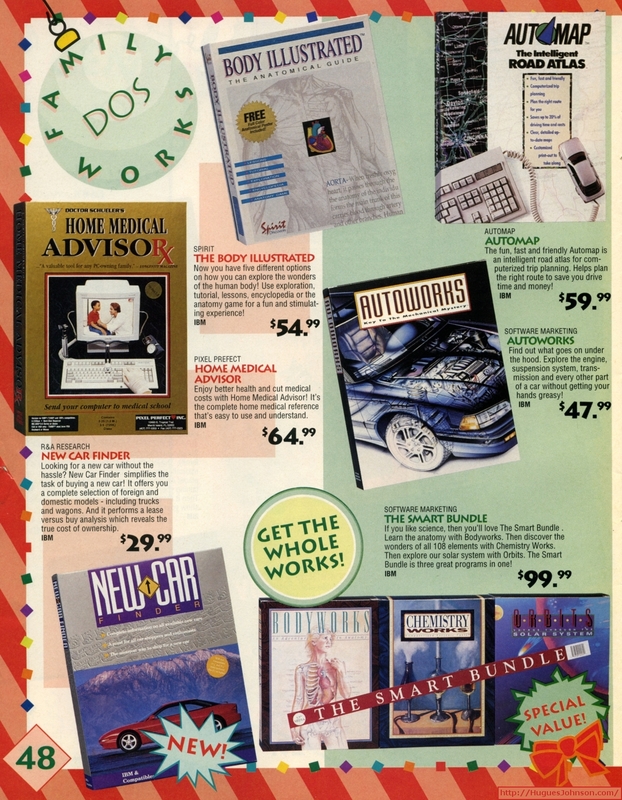 It seemed like everyone who owned a computer bought some edition of Links. 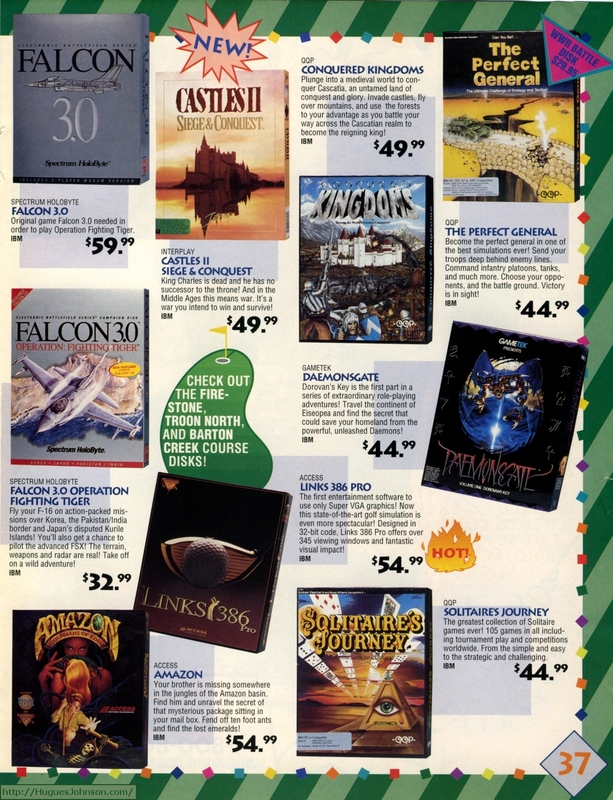 Falcon 3.0 was really popular this Christmas season too. Here we have the begining of the Sim series overload. I find it very strange that there's a Sims game on Facebook. 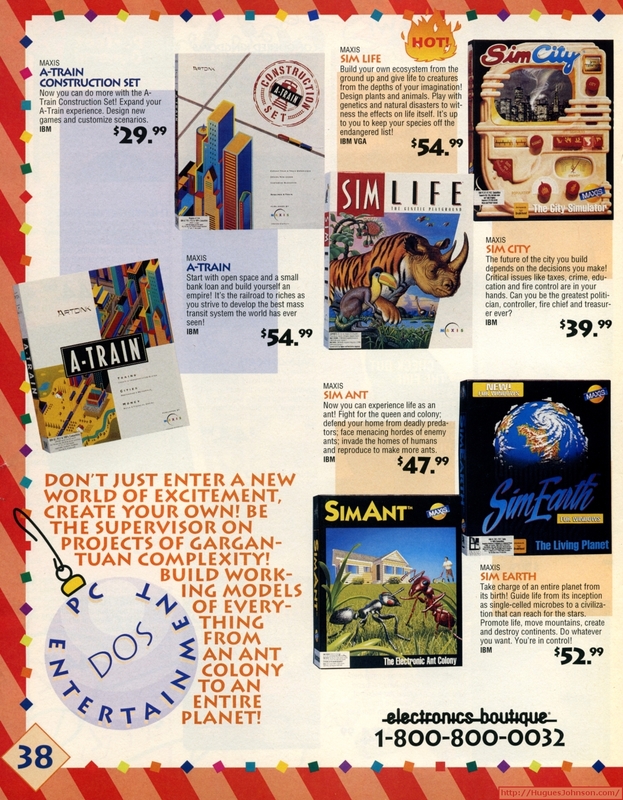 What's the difference between that and Second Life? You remember Second Life right? It was going to totally change the world and whatever. 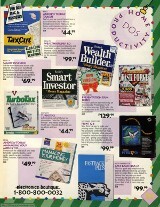 We'd all become millionaires by selling virtual products on there and so on. 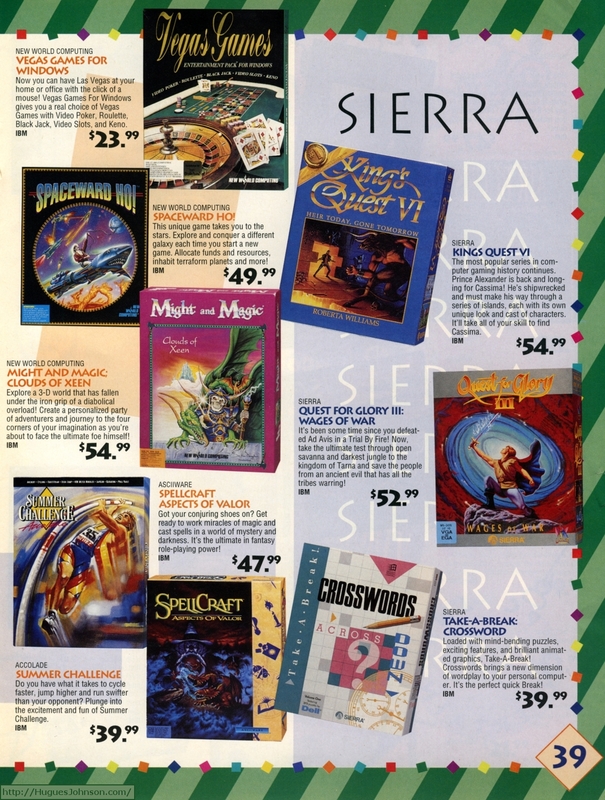 I might give the award for Worst Box Art to Might and Magic Clouds of Xeen. The pink box makes that skeleton wizard look so much less intimidating. Nice job trying to capitalize on the holiday spirit by Bicycle cards here. 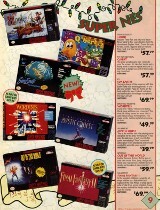 I don't remember if they offered a Halloween Collection two months earlier. 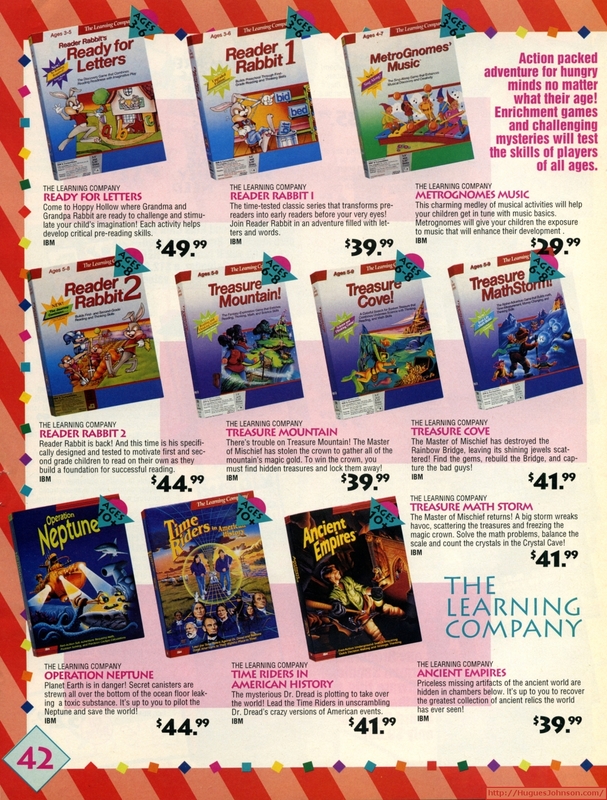 Alright, I'm not going to have much to say about all these educational games. 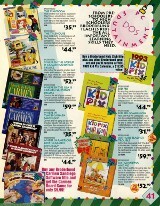 What I remember most about them is how giant the boxes were because we had to rearrange shelves to fit them. 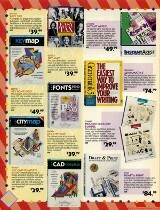 Maybe I just should have tiled all these educational pages into one cramped section. I doubt anyone is even looking at them. That Zookeeper game sounds like a $19.99 Nintendo DS game. I'm pretty sure there are at least 1,000 games on the DS that match its description. 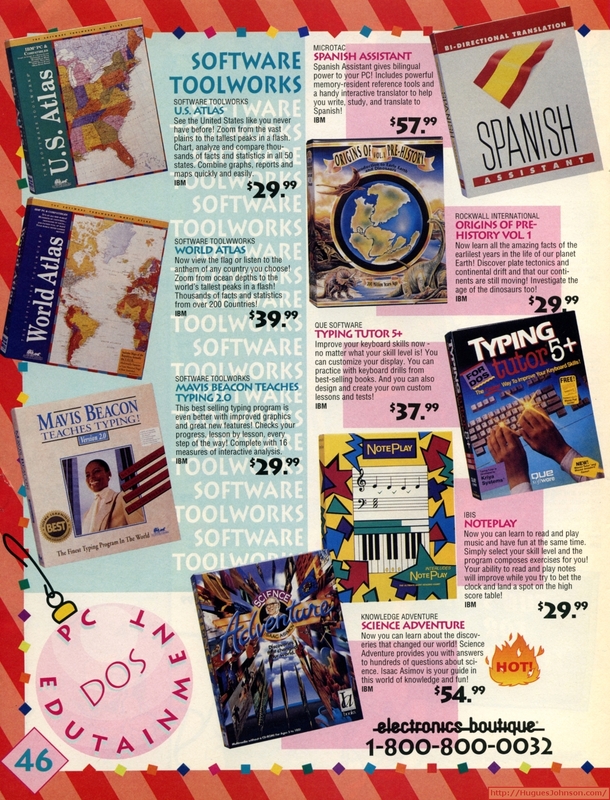 I forgot that Sierra was in the educational software buisness for a little while. 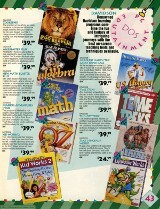 Mercifully the education section comes to a close. Then again it's a stretch to call that Barbie title "educational". I know I commented on another one of these articles but it's amazing how many of these programs have been replaced by either Wikipedia or Google Maps. I guess Family Tree software is still around today but is mostly online. I never understood the appeal of tracing your ancestry. It's like some people would rather be defined by things their ancestors accomplished or suffered than be their regular boring self. 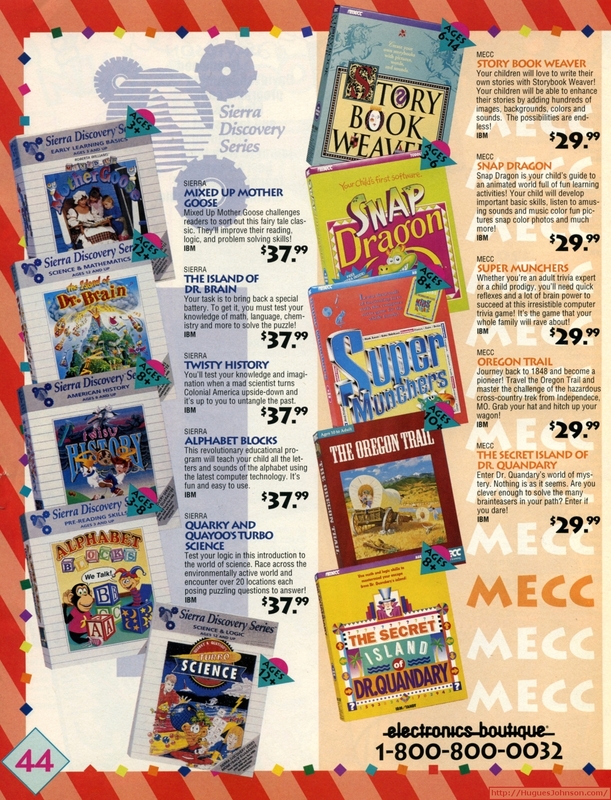 I remember that giant Smart Bundle - it was about 3 feet long and took up an entire shelf. I just bought a 32gb micro SD card for under $30 the other day. I'm writing this before "Black Friday 2012" and there are probably some available for even less now. 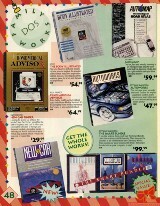 So wish me luck explaining why software like XtraDrive and SuperStor ever existed to someone 20 years younger than me. 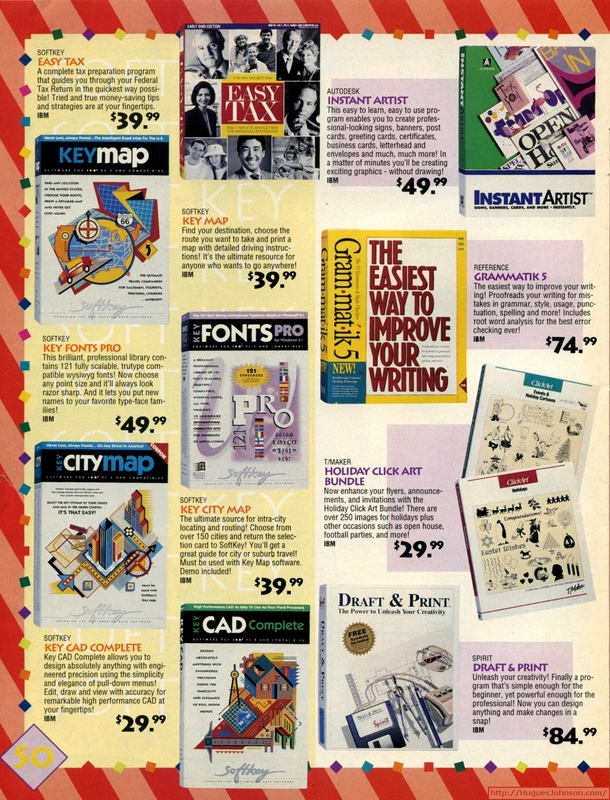 I remember multiple customers asking if that $30 CAD program did everything AutoCAD could. As far as I could tell they had no engineering experience other than second-guessing their homebuilder or plant supervisor. 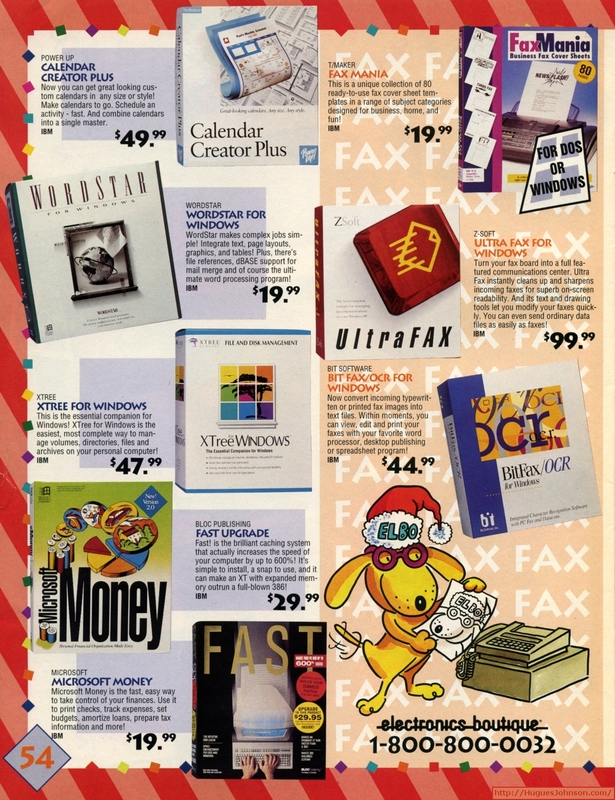 I'm a little surprised to see that Software Directions, the makers of Print Q 6, have a web page today. 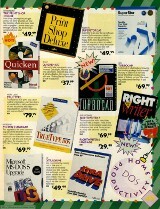 No sign of Print Q of course, yet another product Microsoft made obsolete by including a free version in Windows. 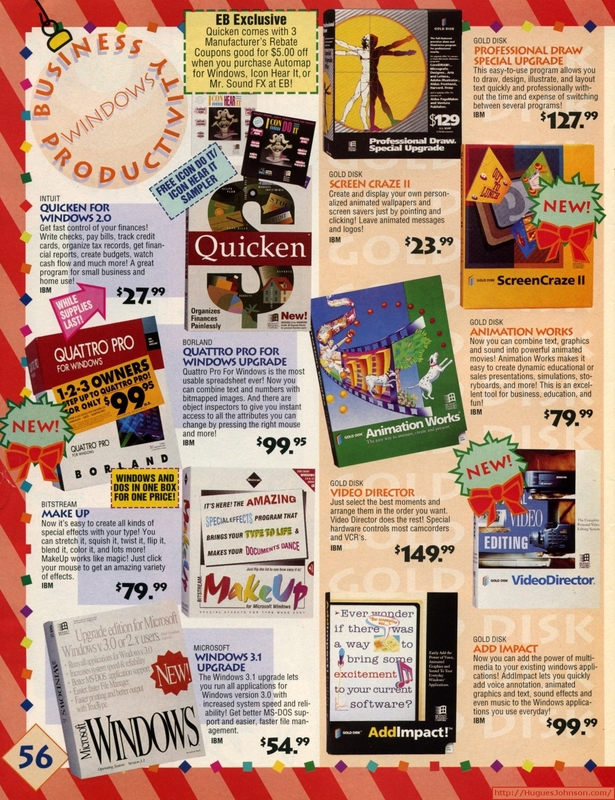 When Microsoft adopted the name "Vista" for their then-latest version of Windows a few sites noted that the name had already been used. Here it is for anyone that's curious. I never tried it but I suspect it's nearly impossible to use... just like Microsoft's Vista. Those daily planner applications would make decent iPhone/Android applications (assuming they don't already exist). I could swear there was a Dilbert one a couple years later. 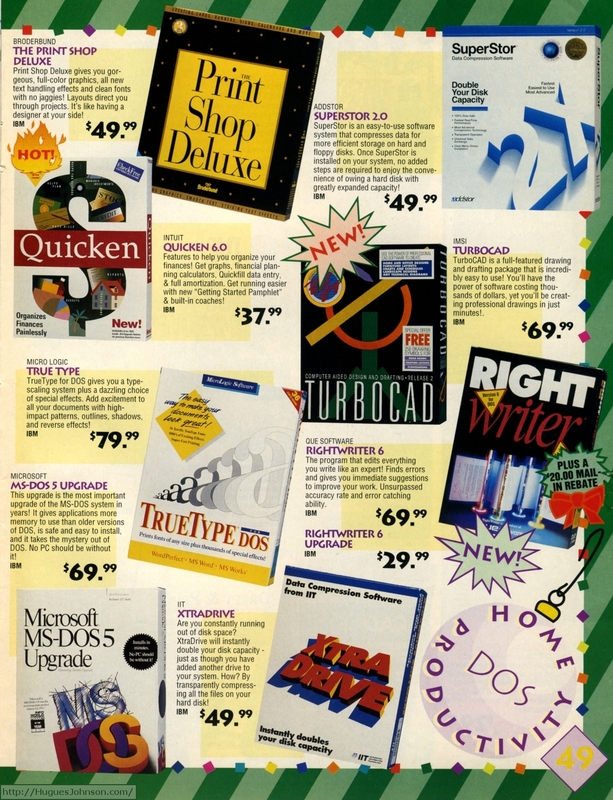 Here's another page of software Microsoft has made obsolete. 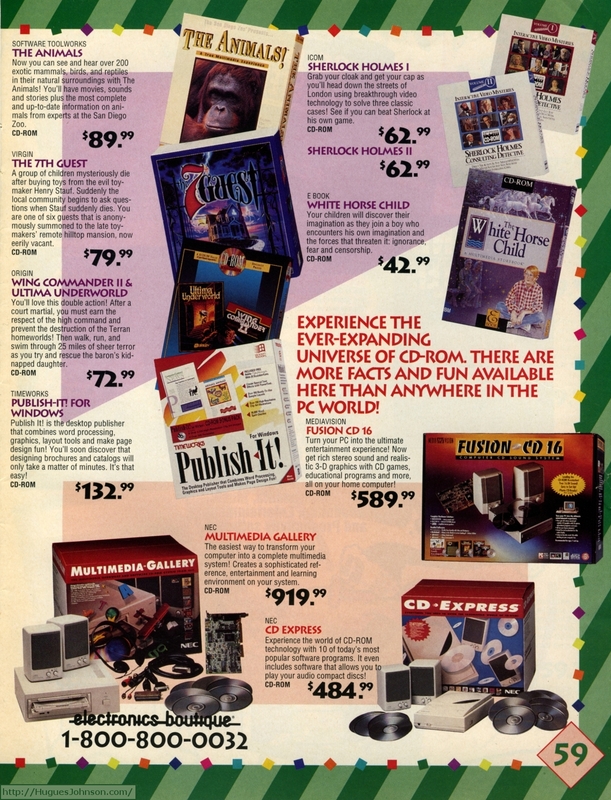 Well, except for Microsoft Money of course which lasted another 19 years before being canned. 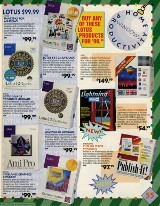 Page 55 - Smartpics, Lotus 1-2-3, Ami Pro 3.0, Freelance Graphics, Corel Draw, Lightning for Windows, Publish It! 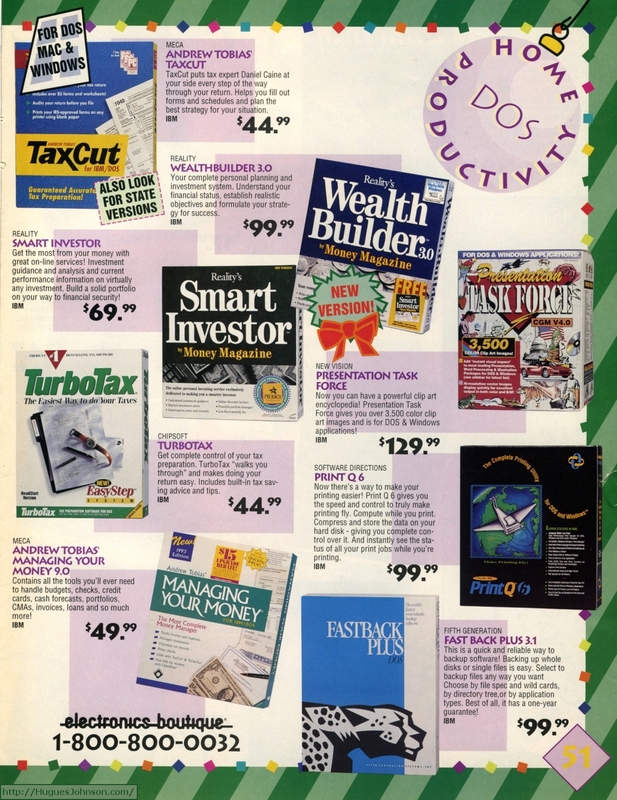 Here's another page that looks like a software graveyard. I am extremely curious about that Video Director application. 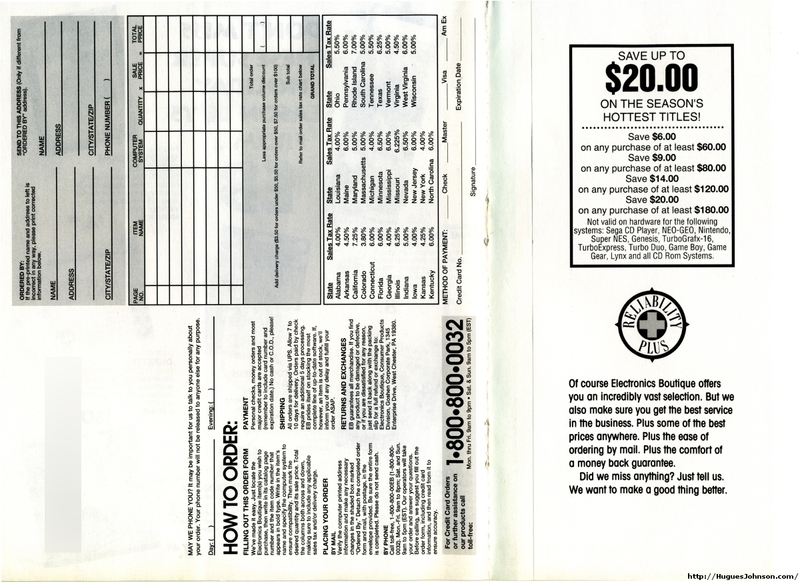 There were no 1TB hard drives and USB connections in 1992. If you were doing video editing on a PC it meant transfering data over a serial port onto your 40mb hard drive and trying to load it in 2mb of RAM. The most trival edit had to take over an hour. 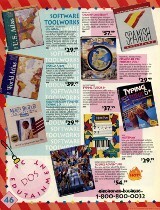 Early CD-ROM titles were an assortment of largely useless, overpriced tech demos. 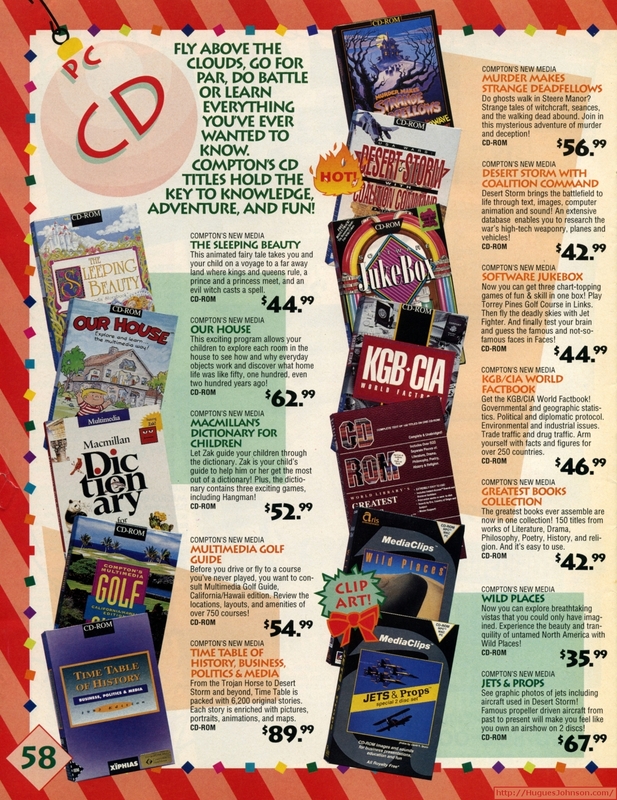 Now that I look at it some more, this page could easily be re-labelled "CD-i" and no one would know the difference. That PC Tele-VISION gizmo would be another fun thing to play around with. Yes, I know it must work horribly but it would be cool to try. 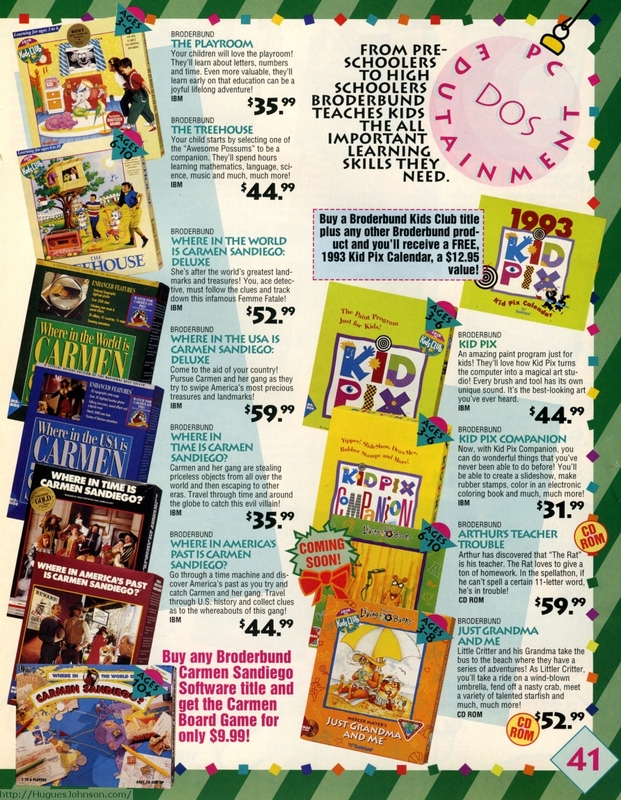 Who else remembers external CD-ROM drives? Look at that giant mess of cables for the Multimedia Gallery bundle. I guess it would be fine if you didn't also have to install a card to hook it up. On top of it all - a CD caddy is required. That's alright though because they managed to keep the price under a grand. 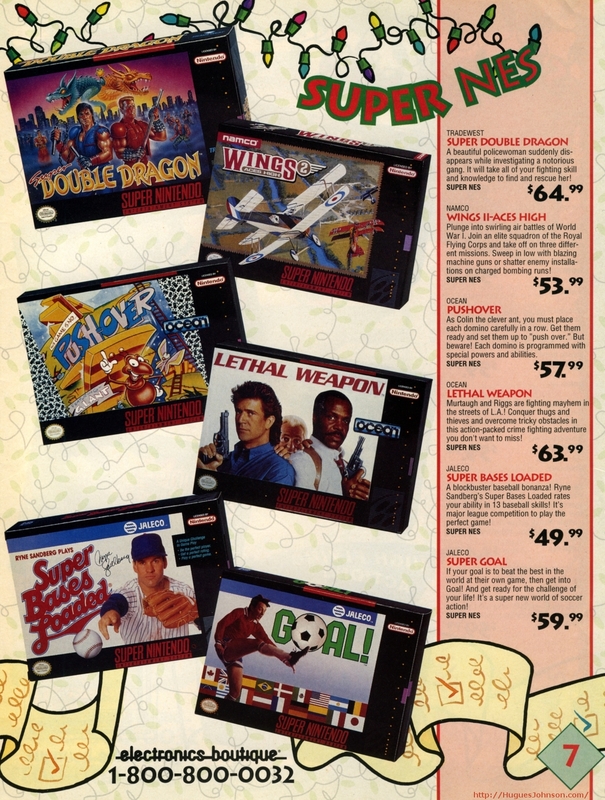 Here's a great example of pricing decoys and reference pricing in action. 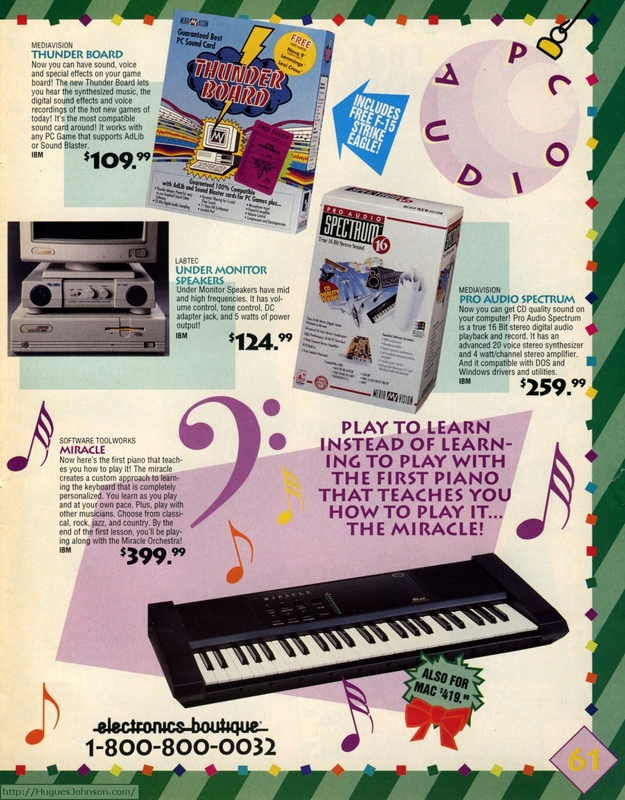 There's almost no difference between these and how iPods are priced. Those Under Monitor Speakers were actually a really good idea and I dig their early 90s style. 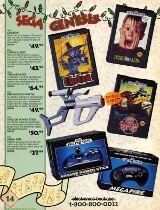 I gotta find a set of those, albeit not at the list price. 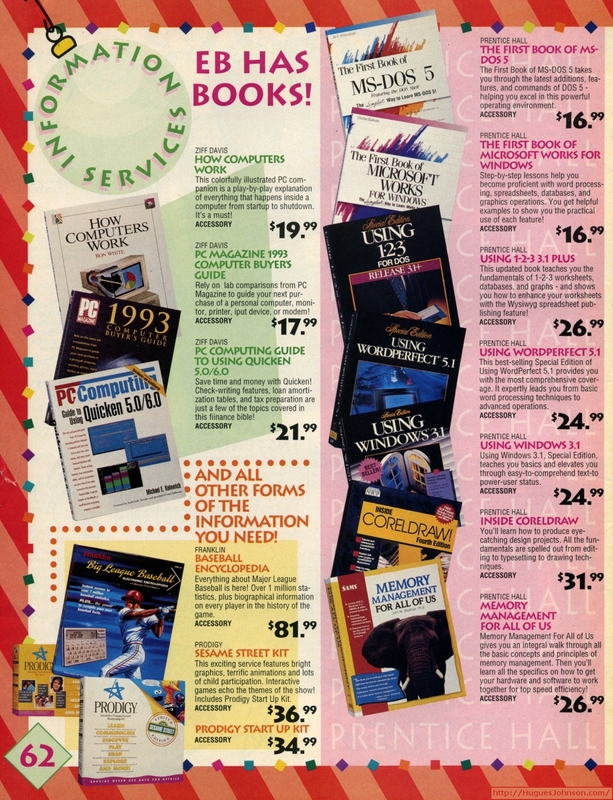 Another thing I'll have a hard time explaining to someone 20 years younger than me - why we needed giant books on memory management. 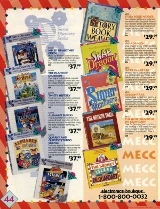 Here's the entire Mac selection of 1992. 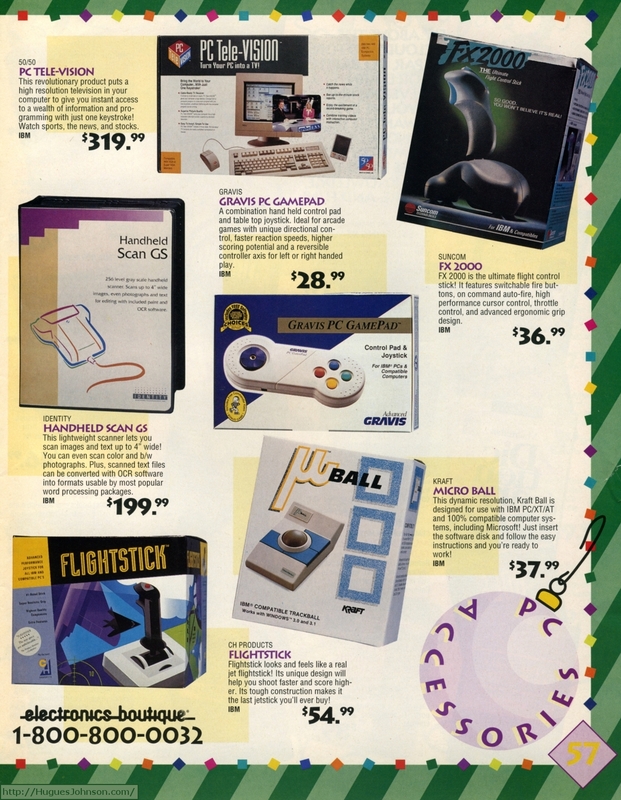 Our store had even less than this, we eventually crammed it all on one shelf. I guess Apple had the last laugh. 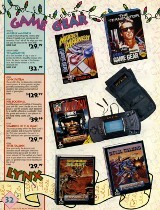 That Game Boy Tote cracks me up because I owned the Walkman version of it some time in the 80s. 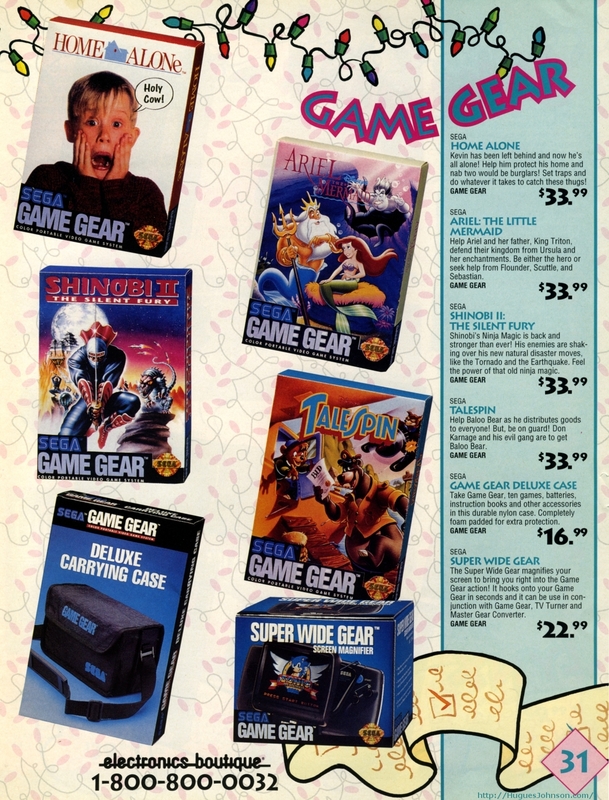 It's always funny to me how companies re-purposed their plastic molds for gaming systems because they always look so out of place. Alright, thanks to everyone who bothered reading this far down. Happy whatever you celebrate.